Das Best Western Cathedral Motor Inn ist ideal in Bendigo Stadtzentrum zu finden. Erleben Sie ein schöner Aufenthalt in der Nähe von alle Sehenswurdigkeiten. Bestpreisgarantie und exklusive Angebote. Herzlich willkommen im Best Western Cathedral Motor Inn im historischen Bendigo. Unser preisgekröntes Hotel ist ruhig gelegen, nur einen kurzen Fußweg entfernt vom Zentrum von Bendigo, gleich neben der Sacred Heart Cathedral, einer der größten Kirchen Australiens. Das Best Western Cathedral Motor Inn eignet sich hervorragend als Unterkunft für Geschäftsreisende, Entdecker und Weinliebhaber. Ganz in der Nähe befinden sich nicht nur zahlreiche Restaurants, sondern auch öffentliche Verkehrsmittel. Das Hotel liegt nicht weit vom Künstlerbezirk und von den besten kulturellen Einrichtungen in Bendigo. Entdecken Sie Australiens interessante Geschichte des Goldbergbaus in der Central Deborah Gold Mine, besuchen Sie die Ausstellungen in berühmten regionalen Kunstgalerien, fahren Sie mit der historischen Straßenbahn, oder begeben Sie sich mit der ganzen Familie ins Discovery Science and Technology Centre. Eine Vielzahl von Zimmerkonfigurationen ist verfügbar, um sicherzustellen, dass jeder Reisende ein Höchstmaß an Komfort erfährt. Jedes der geräumigen Zimmer bietet bequeme Queensize-Betten, kostenloses drahtloses High-Speed-Internet, Direktwahltelefon mit kostenlosen Ortsgesprächen, eine individuell regulierbare Klimaanlage, Foxtel-Kabelfernsehen mit zwei Filmsendern und mehr. Das Hotel verfügt über eine Wäscherei und eine chemische Reinigung und bietet Parkplätze, kostenlose Grillmöglichkeiten und einen voll ausgestatteten kostenlosen Wäschereiservice mit Selbstbedienung. Ein köstliches kontinentales oder warmes Frühstück kann täglich auf Ihr Zimmer geliefert werden. Das Best Western Cathedral Motor Inn ist nur einen kurzen Fußweg von den besten Restaurants und Cafés in Bendigo entfernt. Viele davon bieten Chargeback-Service über das Hotel. Unserfreundliches und sachkundiges Team besteht aus engagierten Einheimischen. Wir freuen uns darauf, Sie bei uns begrüßen zu dürfen und Ihnen einen unvergesslichen und produktiven Aufenthalt zu bereiten. Best Western Cathederal was in a fantastic location, within walking distance to the centre of town. The room were clean and the serviced rooms after our first night were very much appreciated. Staff were exceptionally helpful to our basketball team and were more than accommodating. Located near the beautiful Sacred Heart Cathedral & handy to the CBD & nearby restaurants/cafes/pubs. Warm & welcoming at reception. Room was clean, comfortable & very spacious. Would definitely stay again! Thank you Birdygv for choosing to stay at the Cathedral Motor Inn and for taking the time to review your stay. I've stayed at the Best Western Catherdral Motor Inn, Bendigo, multiple times now and each time I stay, I thoroughly enjoy myself. The rooms are always very clean and the staff always very welcoming. Will definitely continue staying with them on my trips to Bendigo. Thanks Nathan for your lovely comments and for continuing to support us. We look forward to welcoming you back on your next visit to Bendigo. Comfortable spacious room with lounge, work space with 2 chairs, so great for business purposes. Excellent central location and very neat clean rooms at a very good price. Friendly staff, plenty of parking and some basic plates and cups in the room made for a very pleasant stay. Highly recommended. Thank you Marg for reviewing your recent stay at the Cathedral Motor Inn. We stayed here when in Bendigo for the Royal Portrait Exhibition at the Art Gallery. The motel was within walking distance of the gallery and many of the main attractions. The room was spacious, spotless and really well appointed. The bed was super comfortable and the bathroom very nice with lovely products provided. Staff were very friendly and helpful. Would definitely stay here again - ticks all the boxes for convenience and comfort. Thank you Jean for choosing to stay at the Cathedral Motor and for your lovely comments on our great central location and spotless clean rooms. We look forward to welcoming you back on your next visit to Bendigo. Thank you Peter for choosing to stay at the Cathedral motor Inn and taking the time to review your stay. "Facilities even better than described." 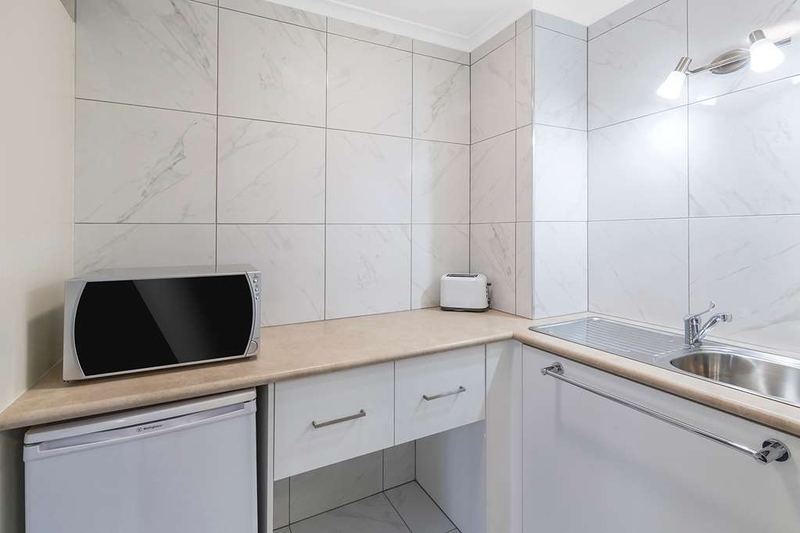 I booked this online and it had “tea and coffee making” which actually turned out to be a mini kitchen with a toaster, mictowave oven, basic cutlery and crockery and basic dishwashing supplies. Bed was good - NO DOONA!! Good old fashioned sheet and blankets - lovely. Guest laundry. Walking distance (10-15 minutes) to several restaurants and major local attractions. Only lack was shelf or drawer space for underwear and odds and ends. Thank you for taking the time to review your recent stay at the Cathedral Motor Inn and for your lovely comments. "Cleanest motel ever stayed in"
Thank you passport for your lovely comments on our clean rooms and our wonderful staff. We all appreciate honest reviews that our guests give appreciating the hard work our staff do. I Hope we can welcoming you back on your next visit to Bendigo. Despite the central location it's remarkably quiet, rooms are clean and have all amenities, staff were very friendly and helpful, including storing our luggage for a late departure. At the foot of Bendigo's Cathedral this traditional motel is an excellent family option a short walk from pretty much everything, and with lots of safe parking. Thank you Doctrwho for choosing to stay at the Cathedral Motor Inn and for taking the time to review your stay. Looks nice from the outside, but quite old on the inside, bedding and room smelt old and musty, pillows too thin and also musty could do with a total refresh. Ordered Fried eggs on toast with bacon, I had over cooked eggs burnt on the bottom, dry unbuttered toast and over cooked bacon and a terrible latte. Thank you for your comments. Our rooms have never been commented on as smelling old and musty and its a shame that out of five pillars in every room you commented on one that was too thin. It is also a shame you did not comment on the breakfast on departure to give us the opportunity - if it was as bad as you mention - to refund or at the very least apologise. From our first contact with the lady in reception to the moment we departed the following day, everything was excellent. Spacious, clean, comfortable room with everything you could need. The recommended hotel, just two short blocks away, was just what I needed after a long days drive. Lovely cocktails, very nice food, and very friendly staff. Thank you 1955 cag for staying at the Cathedral Motor Inn and for your lovely comments on your experience. Great spot, walk to everything. Very comfy stay. Loved the towels and water pressure in the shower. Friendly staff. We had a room away from the road so had no noise. Park nex5 door would be handy if children needed a run around. Thank you Helen for taking the time to comment on your recent stay at the Cathedral Motor Inn and we look forward to welcoming you back on your next visit to Bendigo. "Well Situated & Very Good Accommodation"
As annual visitors we are very happy with quality of accommodation & service but are thinking it is getting overpriced compared to other nearby places that appear to be of similar standard. Notable price increases have applied annually for past three years. Thank you for staying at the Cathedral Motor Inn and for your comments which have been noted. Great service and great location! We required 1 night stay on our trip through Bendigo. Staff were very accommodating as we arrived with no booking. Lovely clean room and helpful staff advising local restaurants and parking. Thank you for choosing to stay at the Cathedral motor Inn on your recent trip through Bendigo and for lovely comments on our rooms and great staff. Thank you Anthony for your lovely comments on your recent stay at the Cathedral Motor Inn. We look forward to welcoming you and your wife back on your visit to Bendigo. Everything was very clean. All required kitchen implements were available. The room and bathroom were spacious. There was a choice of easy and convenient parking. The location was handy to the centre of Bendigo. Thank you Michael and Ann for choosing to stay at the Cathedral Motor Inn and for your lovely comments on our rooms and our central location. Thank you for reviewing your recent stay at the Cathedral Motor Inn and for you comments. Thank you Peter for reviewing your recent stay with us and for your lovely comments on our family room. We all look forward to welcoming you and your family back on your next visit to Bendigo. Solid choice. It won't wow you, but it's a typical motel, well run, modern rooms, doesn't look much from the outside, but you spend all your time inside so who really cares. Parking easy is easy with unallocated spaces outside the rooms. Thank you RaffaFon for choosing to stay with us and for taking the time to review your stay. Thank you Neil for your great review on the Cathedral Motor Inn and Bendigo. "Old Outside But More Modern Inside"
Although this motel is somewhat dated externally it was clean, more modern inside the rooms and had all that was needed. Positives were location, largish rooms with good bench space and numerous power points. The negatives were that it was a little dark and the internet was intially "spotty"but once connected at reception where the signal was strong it worked OK in the room. Thank you Oldjack for taking the time to review and comment on your recent stay at the Cathedral Motor Inn. "Spotless and modern deluxe room was spacious"
Beautiful place to stayStaff extremely helpful and friendlyThe Deluxe spa room was spotless and lovely to stay inVery quiet location Close to everything visitors to Bendigo need but also great if you just want to stay in the room to relax. Thank you for your lovely comments on your recent stay in our deluxe spa room which is a great room to spoil yourself in. Our central location allows our guests to stroll to most of what Bendigo has to offer in restaurants, cafes and tourism. We hope we can welcoming you back again on your next visit to Bendigo. We only stayed overnight but were impressed by everything: staff were very professional and friendly, our room/bathroom were both spacious and spotlessly clean and the parking was easy. The place is also perfectly located - just a short walk to restaurants and the city centre. Highly recommended. "in the shade of the cathedral"
quiet peaceful nights sleep, even the A/C did not disturb us, within walking distance to the shops and restaurants, a 5 minute drive to the city centre. The bed was very comfortable, and fresh milk i is available, coffee and tea is good. I found the accessibility suite to be everthing you could wish for in user friendliness. It was well designed comfortable and safe for someone in a wheelchair travelling by themselves or with someone. A lovely, comfortable experience. "Xmas in Bendigo at Best Western Cathedral Motor Inn"
A very enjoyable stay, where nothing was too much trouble for Rosalie and her team. Plenty of recommendations and advice for our 6 day stay over Xmas. We were even invited for Xmas Day family buffet if we were unable to find a restaurant that was open! Comfortable & clean good size room. Free guest laundry room & ample parking. Five minutes walk to town centre. Would definitely stay again. "Great place to stay in Bendigo"
Our room is location on the second floor and it's the last room that has a view to the green park beside. Room is great and bed is very comfortable. Love the laundry room, which I think is very useful and helpful for travellers. The bricks is unique and we feel comfortable with them and the environment is great too. Recommended for any travellers who is visiting Bendigo. Lovely cathedral just beside the inn. Older style hotel but well kept and VERY clean, I was impressed. Service was lovely at reception.Good location next to a stunning Church Cathedral (Had a view from my room).A little on the pricey side but a good hotel overall. Thank you GTJIMZEE for reviewing your recent stay at the Cathedral Motor Inn and that you enjoyed our service and great central location. The location of this motel is fantastic a plus is the staff are very helpful and our room was spacious and spotless! Would come back again on our next trip to the region we absolutely loved the city of Bendigo and the surrounding districts!! Thank you Jumbo6969 for choosing to stay at the Cathedral Motor Inn on your recent stay in Bendigo. We look forward to welcoming you back on your next trip. My second stay at this motel and excellent as always. Central location, easy to walk into the centre of Bendigo. Older motel, so rooms are a great size. My room recently refurbished and a delight. Clean, modern, comfortable. Good water pressure in shower, small kitchenette with toaster, kettle, microwave, plates, knives, forks etc. AND a small bottle of real milk for your cuppa. So needed after a day of meetings! Will happily return. Thank you sport_taxi for taking the time to review your recent stay at the Cathedral Motor Inn and for your lovely comments on our rooms. We would love to welcome your back again on your next visit to Bendigo. Probably one of the better motels I have stayed at in regional Australia. Clean & tidy. Friendly staff. Good locale. I did not eat at the motel but there were plenty places to get food close by. Recommended to me by a friend who also likes the place. More expensive than average but worth it IMO. Thank you Sightsee for choosing to stay at the Cathedral Motor Inn and for taking the time to review your stay. This motor has always been a favorite of mine, as I travel to Bendigo regularly for work. This site is close to a large number of restaurants/cafe's and an easy walk to middle of town. Their rooms are spacious with comfortable beds and nice staff. I stay there regularly because of the above! Thanks Geoff for taking the time to review your visits at Cathedral Motor Inn we appreciate your support and look forward to catching up again on your next visit. Room was lovely and breakfast was lovely. The hotel is on a main road so it can be quite noisy. The staff were very friendly and helpful. Close to shops, restaurants, and the botanic gardens. The buildings are two story so if you don't like climbing stairs then make sure you ask for a ground-floor room. Thank you for choosing to stay at the Cathedral Motor Inn and for your lovely comments. Well presented rooms, no-fuss staff. Well pleased with the property in general. No issues with anything. Within walking distance of Bendigo CBD, which is why we selected it as we were there for the Bendigo Blues & Roots Festival. Thank you Shane for choosing to stay at the Cathedral Motor Inn for the Blues & Roots Festival. Our great central location would have been perfect for you to walk around to all the great venues. 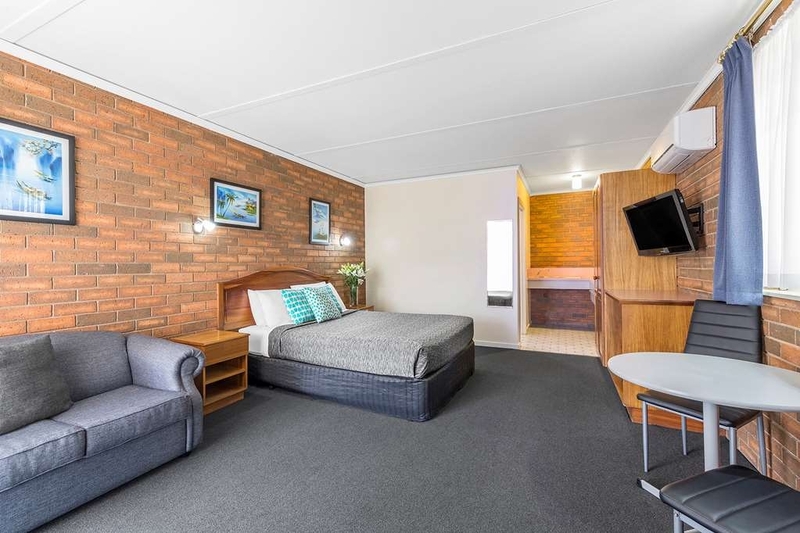 This is your classic seventies style, drive in, park outside your room motor inn however it's standouts are- it's welcoming staff, it's spotless condition and it's central location. And while the hotel itself doesn't have any green space to sit it adjoins a shady block with picnic tables if you do have time to sit and relax. We used the hotel as our base for the blues festival and were able to walk to everything. Thank you for choosing to stay with us for the Blues & Roots music festival and taking advantage of our central location and beautiful surrounds. Nice clean rooms , close to city centre, we were given the disabled room which took a bit of getting used to as the floor in the bathroom was very slippery when wet. Room was nice and quiet as it was in the corner of the hotel away from most traffic. Thank you for your comments on your recent stay at the Cathedral Motor Inn. Our disabled room is a lovely renovated quiet room which caters for all our guests including a shower chair and a non slip mat to go into shower. "Great Family Hotel in Central Location"
We had the family room for this visit, which could sleep up to 5 in two rooms. The room was clean and comfortable. The location was perfect for us, a short 5 minute walk to the centre of Bendigo. Whilst it was on the main road, there was no street noise. Thank you Maryanne for your comments on your recent stay at the Cathedral Motor Inn for the Blues and Roots music festival. Our central location is perfect to allow our guests to walk around central Bendigo. The room was clean and comfortable and the spa was lovely. The staff were helpful and pleasant. However we were at the front of the complex and found the traffic noise spoiled the visit. The room needed double glazing or thicker windows, and I would stay at the back of the complex next time. We arrived early and the fantastic helpful reception lady checked whether our room was ready. It was ready and we were efficiently checked in. The room was large with a comfortable queen bed and modern ensuite with a great shower.Very clean well maintained property with very helpful and caring staff.Well located and within walking distance of main city centre. Cathedral Motor Inn was clean, tidy and the reception staff member was fabulous. So friendly and helpful. Had a very comfortable nights sleep and it was wonderful to be able to make your own breakfast. I've stayed here four times now, and have never been disappointed. The rooms are spacious and always flawlessly clean, the staff ever helpful, and the location is excellent. I was easily able to walk wherever I wanted to visit, but could also get public transport without any difficulty. Thank you for supporting us and passing your experiences on to Trip Advisor. All the team at the Cathedral Motor Inn appreciate repeat visitors who enjoy our services and great central location. We all look forward to welcoming you back on your visit to Bendigo. Thank you Peter for bringing your group to stay with us it was a pleasure to meet you all. I hope you enjoyed your day in Bendigo and you enjoy the rest of your stay in Australia. I recently stayed for a week. The staff are very accommodating and delightful to deal with. I was staying in room 1 which is on the ground floor at the front of the premises. The room is spacious and comfortable but the only let down is the lack of soundproofing. The traffic noise takes a bit to get used to. The location was ideal for me being a solo traveler. It was an easy walk to shops, restaurants and local landmarks. "Easy walk to town CBD"
Our room was spacious and comfortable, very clean and an easy walk to town and a great Mexican restaurant. Lovely owners and reception staff. Ask for an upstairs room to get a view of the park. Downstairs views would be blocked by vegetation which gives privacy. Great convenient position. Staff couldn't be more helpful, the room was clean and comfortable with lovely view of the cathedral. I was with two friends from the UK and we were all impressed with the excellent service. A big thank you to Rosalie and Bernadette , will be back. Thank you for your lovely comments on your recent stay. It was a pleasure to meet you and your friends and help you show your UK friends our wonderful city. We look forward to seeing you again on your next visit to Bendigo. We stayed in a beautiful 2 bedroom apartment in Adelaide for the same price as this stay. The room was suppose to be delux but I would describe it as a spacious room with a cheap up grade. It was fairly clean and quiet and the view of the cathedral was a bonus. "A very nice place to stay in Bendigo ." Our room ,kitchenette and bathroom were nice and clean and spacious .The beds were quite comfortable also . Everything operated quite ok . There was convenient sufficient parking near our room and the location of this motel is very central which suited us well for our 2 night stay .There was little traffic noise which was also a plus . Thank you for taking the time to review you stay at the Cathedral Motor Inn and for your lovely comments on yur experience. The location is 10 mins walk from the centre of town, the room was large for the price and was spotless, the bathroom also was perfectly clean and large, good water pressure. Breakfast was an option but we did not take this up, sort of looked a bit basic, we were more interested in the nearby cafes. Would gladly recommend this place for your stay in Bendigo!! Thank you Ashley for your comments on your recent stay at Cathedral Motor Inn. I'm glad to enjoyed your stay and took advantage of our central location to Bendigo many wonderful cafes and restaurants. We found the room was clean and contained everything we needed and more. It was one of the nicest motel rooms we have ever stayed in. Reception was very friendly and helpful. We will definitely stay here again and recommend it to friends. Thank you Denis and Tina for your lovely comments on your stay with us and look forward to welcoming back on your next visit to Bendigo. Room was excellent, duty manager very friendly and only too happy to help[, allowed us to leave our cars there till after 12 pm. Thank you.Great proximity to all the resturants and many sites. Thank you. Thank you Romney109 for choosing to stay at the Cathedral Motor Inn and for your lovely comments on your stay. Our central location is ideal to leave your car and stroll to Bendigo's great cafes and restaurants. We look forward to welcoming you back on your next visit. Enjoyable stay close to the heart of the CBD. Room was cleaned everyday and kitchenette amenities suitable for a short stay. (Tea /coffee and microwave.Within walking distance to most places of interest but driving around is just a easy. Thank you Darlin2170 for reviewing our motel after your recent stay. Booking at short notice was not an issue. Arrived early, not a problem as the room was ready, Great to hear. Had a Superior Queen booked, Nice clean room, amenities were well presented and modern, All channels worked on the TV and the heater worked fantastically. Windows were able to be opened and just a nice room with everything you need. I am on a crusade for fresh milk in hotel rooms. Thats the only thing that was missing. So why a 3? The room met expectations in a minimalistic way. Lots of room for improvement and for the price of $200 a night there is lots of improvement expected. Thank you Jacinoz for your comments on your recent stay at the Cathedral Motor Inn on a very busy weekend. Love your comments on fresh milk as that is one thing most of our guests comment on and enjoy the pleasure of taking free of charge to their room on arrival from the reception fridge. Really happy with our stay here. Room was really clean and comfortable. It was a nice size as well so we didn't feel cramped. Bed was great. Had good sleep. Bathroom was a good size and really clean. Location is fantastic. We pretty much walked to everything. It was really good being across from the sacred heart cathedral as my husband attending a mass so it was nice and close. Would highly recommend staying here. Thanks for a great stay! Very clean room and great service.The room was close to town and I was able to get up a little later to get to work.If you are looking for a clean room with lots of space, then give this one a go. "Great location for a relaxing stay"
Stayed 2 nights during Bendigo's first White Night experience. The location was excellent being a 5 minute walk to the event but away from any noise. We were allocated room 19 upstairs which had a very pleasant view over a small park and the cathedral was lit at night making it very pretty. There was a small balcony you could access via a sliding doorway just slip a brochure or something when closing after you so you don't lock yourself out on the balcony. Room extremely clean and well equipped, you can request a microwave in advance if you want one for reheating snacks. Nice warm aircon, comfortable bed and couch. Very friendly service staff who were happy to top up your tea/coffee/biscuits etc. Reception staff Bernadette excellent with great local information and very welcoming making you feel they truely valued having you as a guest. They have complimentary fresh milk if you prefer at reception which is a nice option. Also wine and beer is available to purchase. Overall a nice relaxing stay and happy to recommend. Thank you Jubaanne for your lovely comments on your recent stay. You have certainly mentioned from a guest point of view how great our rooms are and the wonderful staff we have. We would love to welcoming you back again on your next visit to Bendigo. Thank you for reviewing your recent stay at the Cathedral Motor Inn. Our central location is very convenient to Bendigo's great cafes and restaurants also. We look forward to welcoming you back on your next visit. Congratulations to Rosalie who was terrific in welcoming us and helping with directions and with many other requests. The location was great and very easy to walk into the city and the tram was right outside the front door. Thank you Colin for your comments. We all enjoyed having your group stay with us for the week and hopefully you might get a chance to revisit and enjoy all the great tourism attractions Bendigo has. Our stay was brief but it was very clean and comfortable. Would stay again. Plenty of room, good shower, heating worked and a nice view over looking the park and cathedral. Within walking distance to the city centre. Thank you bshann998508 for reviewing your stay with us recently and for your lovely comments on the room you stayed in. Nice large room, in nice condition. Let down in small ways only. You get what you are promised. Downsides? The room (25) was incredibly dark. OK for watching TV and reading in bed but that is it. Not nice to sit out an evening in. The electric blanket didn't work (my bad, I forgot to report it and management can't fix it if they don't know). And I thought it very expensive for what and where it was, but the competition was also a bit pricey. Upsides? Kitchenette really is good enough to cook a meal if all you need is a microwave. Genuinely well equipped with crockery, cutlery etc. Room has big TV with all the channels. Sensible parking outside. Pleasant staff on reception. Location is pretty central, too. I'll stay again if not banned for this review! "Great place to stay work or play"
Very comfortable and large well furnished room. Off street private parking. Rooms are set well off the road with no noticeable road traffic noise. Lovely outlook over park and towards Cathedral. Friendly greeting on arrival. Thank you for your lovely comments on your recent stay at the Cathedral Motor Inn. We would love to welcome you back on your next visit to Bendigo. My partner and I recently impulsively stayed in Bendigo at the Western Cathedral Motor Inn. Impulsively, as he had not been to Bendigo before. The Receptionist at the Cathedral Motor Inn gave us a warm and very knowledgeable welcome, providing appropriate information on fooderies, sightseeing, facilities and history. Our Unit was clean, spacious and comfortable with everything we could expect. As well as this, the Motor Inn was in the ambit of the stunning 3 spired Cathedral of the Sacred Heart. A beautiful venue. Always a lovely place to stay. Staff are very friendly and Motel is very central and you can walk to the CBD. Rooms exceptionally clean. Great Hotels near by for dinner within walking distance if you so choose. Upon arrival we were greeted by a lovely lady that went out of her way to show us the rooms we had asked to view.They were lovely & clean which is most important & cozily comfy as well.The beds were comfy & the electric blankets provided us with the warmth we yearned for as well!Was a close walk to restaurants & sightseeing.We totally enjoyed our stop over in this Beautiful town that's for sure!Recommended totally.. Spacious room with kitchenette. Very clean. Comfy bed with electric blanket, great for Bendigo and it was freezing outside! Split system air conditioner was perfect. Great location - walk to the CBD We had a car and trailer and there was off street parking to accommodate the vehicle and trailer. I stayed at the Best Western Cathedral Motor Inn for a business trip, and was very happy with it. It is in convenient central location, the staff were very friendly and helpful, and the room was nicely renovated and comfortable. I would definitely stay there again. Thank you Paul for taking the time to review your stay with us and that you found our central location convenient for your needs. We all look forward to welcoming you back on your next stop over in Bendigo. "Repeat visit. 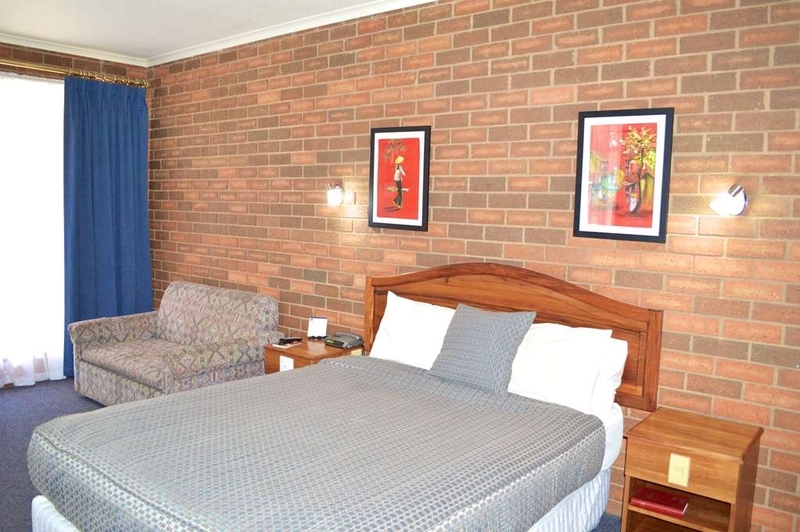 Still a good choice in Bendigo"
Another overnight stop at this quality motel in Bendigo. Next to the Cathedral, walking distance to the centre. The room was in excellent condition and nicely kitted out. The owner confirmed my conclusion that it was recently renovated. It is good to see a business continuing to invest to maintain its standards and reaping the benefits in repeat bookings. I will continue to stay here when breaking journeys in Bendigo. Thank you for your lovely comments on your stay at the Cathedral Motor Inn. We look forward to welcoming you back on your next visit to Bendigo. "Great location and great rooms"
Well priced rooms in within easy walking distance to the centre of Bendigo Restaraunts, cafes and the sat market were just an easy stroll... Enjoyed the close location to the international squash event only 500-700 mts away. Thank you for taking the time to review your recent stay at the Cathedral motor Inn. Our central location does make it a easy stroll to Bendigo's great cafes and tourist attractions. I hope we can welcome you back on your next visit. 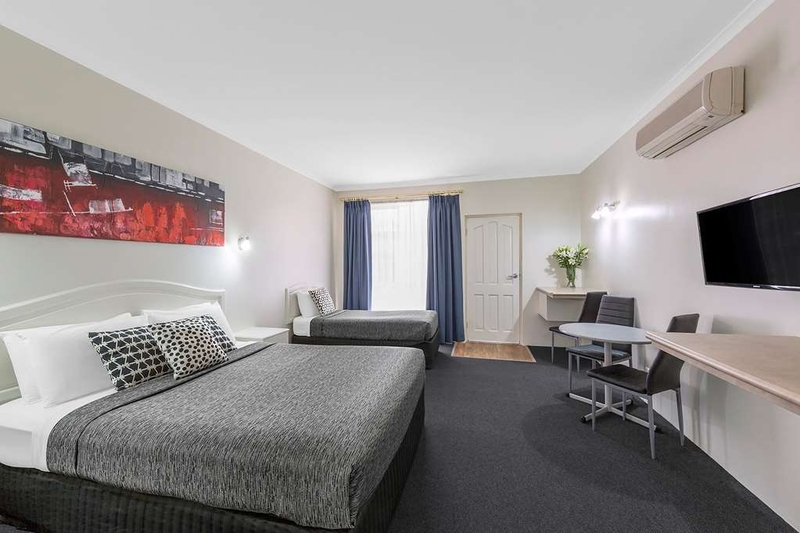 "Cathedral Motor Inn Bendigo Vic Aus"
I was given a lovely clean large room. The bathroom was spotless and the electric blanket on the bed was perfect for the icy Bendigo winter. The motel is easy to find, right in the middle of town, and central for visiting family. Thank you Kylie for choosing to stay at the Cathedral Motor Inn and for your lovely comments on the large spotless room. "Pleasant accommodation and pleasant satff"
Very nice accommodation. Very clean and tidy rooms, spotless bathroom and generally a very nice place to stay. The staff are extremely pleasant. I would have no hesitation in recommending Best Western to a family or business person for a nights stay. Thank you Rob for choosing to stay at the Cathedral Motor Inn and for taking the time to review you stay and experience. Had a lovely stay here. Staff were excellent. Very friendly and welcoming. Room was immaculate. Clean and comfy with a lovely view of Sacred Heart Cathedral. Loction was perfect. Central to everything and within walking distance to the main part of town and many cafes and restaurants. Thank you Rosalie and Bernadette for excellent service and being so warm and welcoming. Will definitely be returning to stay in September and highly recommend. Thank you Elaine for choosing to stay at the Cathedral Motor Inn and for your lovely comments. We look forward to welcoming you back on your next visit to Bendigo. Thank you Alison for taking the time to review your recent stay at the Cathedral Motor Inn and for your lovely comments. 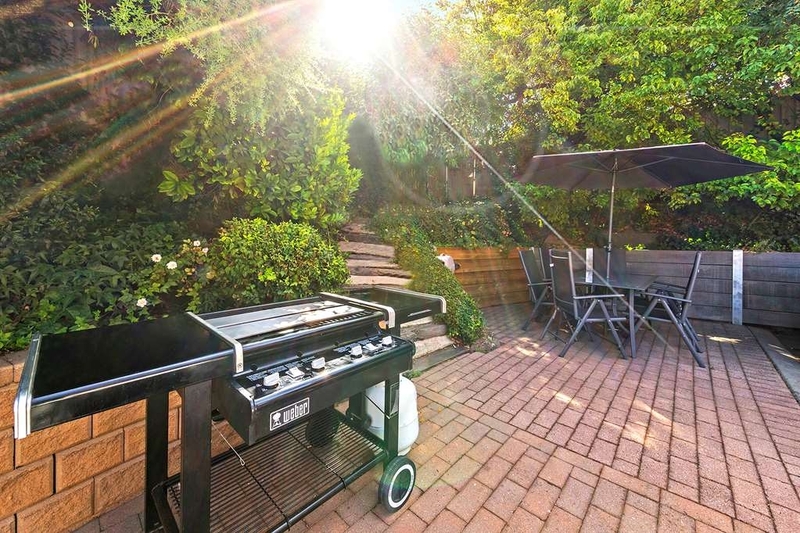 Great location, walking distance to everything we wanted to see, right near shopping, mine, talking tram tour, great service, lovely people, nice room everything we needed! Very clean, comfortable bed. An old motel .....2 Star only , helpful staff but better places to stay in Bendigo . A lot of road noise in front units as well , Internal lighting old and poor, bathrooms need a makeover as very 1980,s in design. Thank you Stewarte525 for your comments on your recent stay at the Cathedral Motor inn, in one of our standard rooms. We would love you to come back and enjoy one of our lovely refurbish rooms. "No help from reception to deal with noisy guests"
Motel is well located and spotlessly clean. While the motel is quite old, the rooms have been refreshed recently and are quite spacious. Our problem was with very noisy guests at 0430hrs in the adjoining room - far too early to be awake! After the noise continued for 30 minutes, we referred to the guests handbook which listed the reception phone number for any problems. We rang in vain with no one answering our call so had to put up with the racket for two hours. When reported to reception in the morning I was told I should have rung the mobile number listed for the motel. Absolutely no help after the event, so why wasn't that advice included in the guests directory! Thank you Have_Bag for your comments on your recent stay with us. Unfortunately most of our guests on a week-end come to have a fun time and enjoy themselves. It is also unfortunate that when residence/reception did not answer at 0430hrs you did not ring motel phone number which is in all our rooms and gets diverted to the manager who would have addressed the issue. "Very welcoming team from start to finish ,provided local knowledge of places to eat and drink all walking distance"
Thank you for choosing to stay at the Cathedral Motor Inn and for reviewing your experience with us. Ideally situated in the heart of town, The Cathedral Motor Inn is always my first choice when travelling to Bendigo. The rooms are clean and well maintained, staff are very friendly and helpful...and the room service breakfasts are delicious! Couldn't ask for more!! Thank you Kaye for choosing to stay at the Cathedral Motor Inn on your recent visit to Bendigo and for taking the time to review your visit. This motel provides good value for money. It is centrally located and yet there is little traffic noise. The room was clean, comfortable and spacious. However bedside lighting could be improved for reading. Thank you for choosing to stay in one of our standard rooms and for reviewing your stay. Our central location allows our guests to walk to most of Bendigo's great cafes and restaurants. Great central location from the CBD. Staff were very friendly on arrival and shared lots of local knowledge. The room was spacious and clean as was the bathroom. Unfortunately the bed was lumpy and the pillows were way too soft and I ended up with a sore neck, which required a professional massage to be able turn my neck without pain. We were moved rooms due to unadvertised renovations, which was great but the noise early next morning allowed for no sleep in, after picking my husband up from the airport bus after 10:30pm. Wasn't a restful experience like I had hoped for. Thank you Tanya for your comments. It is unfortunate that out of the five pillars that are in all our rooms you couldn't find one that suited you and as no other guest has mentioned a lumpy bed l cant imagine why you found it uncomfortable but for this l do apologise sincerely. Unadvertised renovations were not advertised as no renovations have been carried out for 18 months at our motel. But on a positive side l am glad you found our staff friendly. 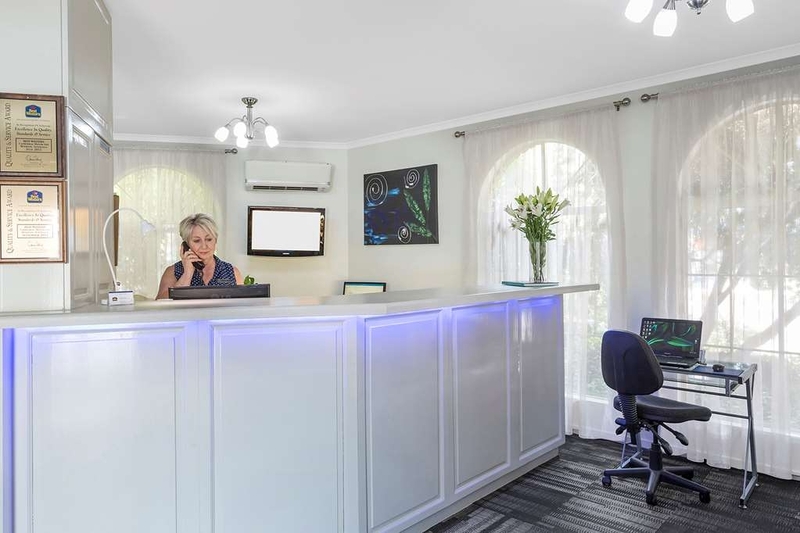 Friendly efficient receptionists, room well situated away from highway traffic noise. Our room was beautifully appointed with plenty of room. Bathroom had adequate bench space which we find imperative and room to move. We stayed in Room 25 which I would request again as it was on a downstairs level situated in a corner. Access to water & hose for our car was appreciated. Facilities allow for several days stay with laundry, micro, toaster & generous supply of milk, tea, coffee etc. Motel ideally situated near fine foods & within walking distance to shops. "Comfortable room but poorly lit"
Thank you Evan for reviewing your recent stay with us in one of our standard rooms. Check in was most informative & attentive - much appreciated. Room was very well presented, tidy, clean. Good bed, nice & quiet too. Everything worked as it should, shower, kettle, toaster, TV, WiFi. I appreciate the quality of the towels - very nice. Thank you Roger for reviewing your recent stay with us and for your lovely comments on our rooms. Clean and tidy. Only issue for me was the bed was a bit firm. Has everything you need in a hotel room, iron and ironing board, hair dryer, kettle and toaster. Great location, within walking distance to city and most tourist attractions. Thank you Bronwen for reviewing your recent stay with us and for your comments. Our central location certainly makes it easy to walk to Bendigo's great shops and cafes and tourist attractions. Room was fine, bit noisy despite supposedly having sound proofing. Very helpful front desk. Great shower too, excellent shower head. Bed was a bit soft for my taste, but that's not a big thing. Location is convenient. Thank you Jeanne for review your stay with us and for your comments. A few friends and I came down to Bendigo for a friends birthday. We had a great stay. Very comfortable room. The accomodation was an easy walk into town which was perfect for us. Would definitely recommend. Thank you Gemma for your lovely comments on your recent stay with us and that you enjoyed our great location to the centre of town. We look forward to welcoming you and your friends on your next trip to Bendigo. Location was perfect, walking distance to everywhere (restaurants, shops and main attractions) and helpful tips on the best places to eat. Rooms were great and very reasonable priced. Plenty of parking available. Would stay here again! Thank you for reviewing your recent stay with us and that you enjoyed our great central location. Excellent. Rooms are modern and clean. Quiet however close to central district. Friendly staff and nice breakfast. Ask for restaurant recommendations as they are spot on. Will return as this will now be my regular. Thank you for your lovely comments on your recent stay at the Cathedral Motor Inn and we look forward to welcoming you back on your next visit to Bendigo. This is one of the best value hotels we have stayed at. Nothing too much effort for anyone. From the minute you arrive and then during our stay staff were always prepared to assist, the rooms are kept clean. Quiet area to stay and all required facilities within walking distance from Hotel. Delicious fruit salad prepared and delivered for Breakfast from the Hotel menu. Thank you LindaB for taking the time to review your stay at the Cathedral Motor Inn. Our central position certainly makes it enjoyable to be able to stroll around central Bendigo to our wonderful shops and cafes. Nice, clean, well appointed room with separate bathroom, air conditioning, wi fi and parking on site. Friendly staff. Convenient to Latrobe Uni by car. There were no issues or problems. I would be happy to stay here again. Thank you Jac682018 for choosing to stay with us and for taking the time to review your stay. We look forward to welcoming you back on your next visit to Bendigo. Check- in was polite and efficient. Our room was clean,tidy and comfortable. We will definitely revisit in the future. Fantastic location walking distance from the city and close to many good restaurants. Just need to stock the best wine from central vic. Farmer and the Scientist Heathcote Shiraz. Staff were friendly and rooms were clean and comfy. I spent the night with my daughter and booked last minute. The staff were accommodating. Bendigo is a great place to visit and Cathedral Motor Inn is a great place to stay! Accommodation was excellent, clean and modern. Bed was very comfortable. This accommodation is close to the Deborah Mine and the start of the Bendigo Tram route. Beechworth Bakery is 2 blocks away, very handy for afternoon tea. Lovely clean ,well supplied room, very central to a lot of Amenities, staff very nice and welcoming,we will be definatley staying here again Our stay was very quick but it was just like home away from home. Surprisingly very quiet,lovely views of the neighbouring Cathedral and surrounded by lovely park with lots of room and shady trees. This is one of the best value hotels we have stayed at. Nothing too much effort for anyone and that includes the fact we have two children. From the minute you arrive and then thought out the stay the rooms are kept clean and quiet. "Good motel a short walk from the city centre"
I stayed here for one night. Friendly and helpful staff on reception assigned me a room in the block at the far back of the hotel. I thought the double bed was a bit too firm, but not exactly uncomfortable, and the shower was good. The room was also furnished with a small sofa, a table & chairs, quiet a/c unit on the wall, TV on the wall, iron & board, a small fridge, microwave, sink, kettle with tea & coffee, crockery/cutlery/etc... The free wifi worked ok. This hotel has free parking onsite, and is about 10 minutes walk from the city centre. The only real problem was the 2cm gap at the bottom of the room door, which I had to block with a pillow because it was *very* windy that evening, and I was sitting in a draught. "Excellent Hotel... Very handy... close to the City"
I recommend this hotel to anyone spending a weekend in Bendigo. Beautiful church next door.Very friendly staff.. Room was spacious enough and Bed perfect. Walking distance to the city. Will recommend the hotel. Our accommodation was a large and roomy motel room to Best Western standard. Alongside the highway but not noisy with small balcony accessed via a step through window. Breakfast was a bit ordinary but delivered promptly. Excellent Motor Inn, exceptionally clean, staff bright and cheerful. Nothing was too much trouble for them. Highly recommend. Very central Motor Inn, you can walk to the CBD and not need to take your car out. Just the perfect place for a quick stop over. Location was fantastic, just minutes from town. Management was good enough to have our 3 rooms ready early for no extra charge. Rooms were spacious and very clean. If you are elderly, please request a room on the lower floor. I would definitely recommend this hotel to anybody. Very nice room, friendly staff and very convenient for town, but far enough away to be very quiet and peaceful. Went on a last minute trip, and found that it was Races day at the horses, still managed to get around easy, and do the things that I wanted. Visit the Gold mine, its fantastic! "One of the best places I have stayed away from home"
Thank you Dawn for your lovely comments on your recent stay at the Cathedral Motor Inn and we look forward to welcoming you back on your next visit to Bendigo. i stayed here recently for two nights on a work trip. Very friendly service with clean and spacious rooms just a short walk to town center . Will happily stay here each time i need to come to Bendigo. Thanks team . Thank you Chris K for taking the time to review you recent stay with us and that you found the staff to be friendly and the rooms how they should be, clean and spacious. Our great central location is great for guests to be able to walk to dinner and or to access Bendigo's central business and shopping area. Position great, walking distance to everything, room very roomy and comfortable but a bit dark( not enough lights), nicely renovated bathroom . Great friendly service. Small kichinett with microwave and sink. I would stay here again. Thanks Rhonda R for your comments on your recent stay in one of our standard rooms and that you enjoyed our friendly service. We look forward to welcoming you back again on your next visit and would like to suggest you ask for one of our renovated rooms. Absolutely wonderful people, could not do enough for us.. Helpful with things to do and places to visit, along with directions on how to get there. Very pleasant stay. Relaxing after a long day. Definately stay again. Good location. Lovely shady park next door. Thank you Aliason6 for your lovely comments on your recent stay at the Cathedral Motor Inn we appreciate you sharing your experience with us and look forward to welcoming you back on your next visit to Bendigo. Very friendly professional staff. The room is large and very clean and fresh. Microwave and extra crockery and cutlery a great bonus to travellers who hae dietary hassles so you can cook a meal too. Definitely stay here again. Situated within easy walking distance of main shopping area. Thank you amp2018 for taking the time to share your experience on your stay at the Cathedral Motor Inn. Our central location does make it easy to walk to Bendigo's great shopping area and restaurants. Great place to stay close to everything host was friendly and helpful great pub just up the road for a meal very clean and tidy room good air conditioning great shower and the spa was terrific will definitely stay there again on our next trip to Bendigo. Thank you gjhatton67 for taking the time to review your recent stay at the Cathedral Motor Inn and for your lovely comments. We look forward to welcoming you back on your next visit. Very friendly and informative reception. Great location within walking distance to good pubs and range of restaurants. Room very clean with all facilities. Huge breakfast. Recommend and will stay again when travelling in the area. Nice and quiet. Thank you George for sharing your experience on your recent stay at the Cathedral Motor Inn. Great that you took advantage of our central location which enabled you to walk to Bendigo's great restaurants and shops. Very convenient location and good value. Walking distance to town centre. The immediate area around the cathedral is lovely with character old houses. Rooms are very clean, free parking on site and staff are super friendly and nice. Will stay there again. Thank you Adele772 for your review on your recent stay at the Cathedral Motor Inn. Our central location is perfect for our guests to be able to stroll around our great city. It was lovely we booked in as a last minute stopover it was perfect so close to the shops we parked the car and just walked around town. Room was very very clean the lady that booked us in was very helpful with information about the town. Our trip to Bendigo was made perfect by a return stay at Best Western Cathedral Motor Inn. The staff , location and overall amenities are fantastic. The recommendations from the Front Office Staff were most helpful. Will definitely be staying again. "The motel is great! clean and calm! The staff are superb.... actually the staff make my stay at the Cathedral"
A very central position close to shops and restaurants. A pleasant surprise to get a soft comfortable double bed without a lump in the middle. I hate two single beds joined together. A nice aspect over looking a well maintained park. Secure parking and pleasant staff. I would go back to this comfortable and clean motel. Cheers. Thank you Rob for reviewing your recent stay at the Cathedral Motor Inn. Most of our comfortable queen rooms look over the lovely park adjoining our motel which is nice on the warmer days to sit and relax in. We look forward to welcoming you back on your visit to Bendigo. Thank you BBBec for reviewing your recent stay with us at the Cathedral Motor Inn. It was lovely to read that you enjoyed the view of the park from your room and took advantage of our great central location. I stayed here 3 nights for work & was really disappointed in the poor quality of this motel. The room i was in was pretty poor and smelt pretty bad & old. Desperate need of a renovation. There was no chairs & table outside most rooms which was disappointing but in saying that the way the motel is positioned the sun glares right to your room it's not enjoyable sitting out there anyway. The only thing that was great about this place was the service, really friendly & very helpful. I wouldn't stay here again because of the quality of the rooms. Thank you dkaylah for your comments on your recent stay. We are disappointed that we did not meet your expectations, but unfortunately when you book a standard room that is what you get and pay accordingly. We would love you to come back and stay with us again but book direct so we can give you a complimentary upgrade. Very nice motel in a great location quite close to the city centre (5 min drive). Big room, was very clean and good facilities. The room overlooked a small park and very close to the beautiful cathedral in Bendigo. Friendly and helpful staff and good off street parking. Would definitely recommend this place and we would stay there again next time we are in Bendigo. Thank you Kazzb2016 for taking the time to review your recent stay at the Cathedral Motor Inn and that you enjoyed our great central location and our facilities. We look forward to welcoming you back on your next visit to Bendigo. Great family friendly motel in a central location. 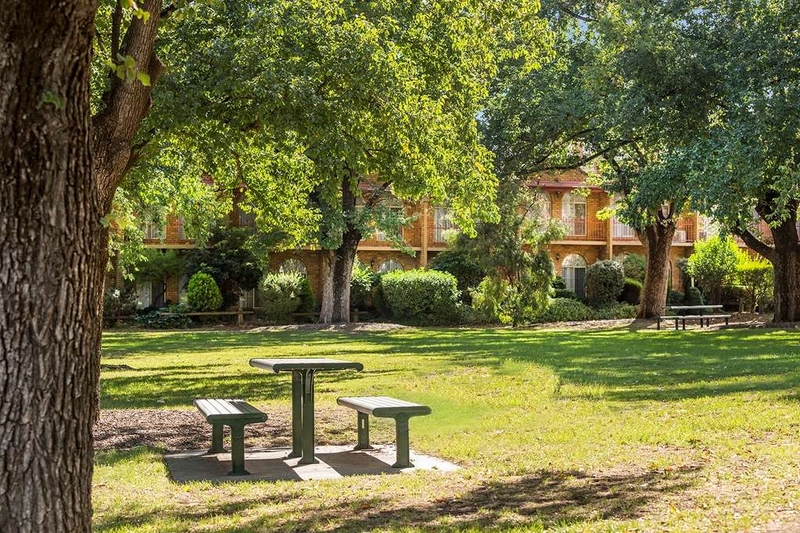 Walking distance to most of the key Bendigo tourist attractions. The kids loved it, especially WiFi!!! Jess on the front counter was extremely helpful. Thank you for your lovely comments on your recent stay at the Cathedral Motor Inn. Our central location certainly does make it great to walk to our tourists attractions, restaurants and cafes. "Fab Location in Bendigo CBD"
"Quiet, friendly and relaxing haven in Bendigo"
We only spent one night in this excellent facility but would have happily stayed longer. The Reception staff welcomed us warmly and the next day kindly allowed us to leave our car there while we visited the Art Gallery before heading off. Our room was a tranquil haven, very spacious, well-appointed and tastefully decorated, with large picture windows facing a small park. Everything was spotlessly clean. The breakfast provisions were excellent and we were impressed with the selection available. The motel is only a short walk from restaurants and cafes, shops and other attractions. We loved it here! Thank you Marla52 for your lovely comments on your recent stay at the Cathedral Motor Inn. Our great central location makes it a easy walk to the Art Gallery and all the great restaurants and cafes Bendigo has to offer. We hope we can welcoming you back to our wonderful city in the near future. Thank you LOSLAP for your lovely comments on your recent stay at Cathedral Motor Inn. We certainly are in great location with the amazing view of the Cathedral lights and the Wattle Park next to us and on top of that a easy walk to Bendigo's restaurants and cafes. Stayed here for one night on a business trip. Reception staff very helpful. REAL milk available for my well deserved cup of tea. Rooms warm, clean, comfortable. Excellent location, looking over a park and easy walk to central Bendigo. Would happily stay here again. Thank you sport_taxi for your review after your recent stay at the Cathedral Motor Inn. Our team works hard to make sure all our guests feel welcome and comfortable during their stay. Our great central location makes it easy to walk to Bendigo's many cafés and restaurants. 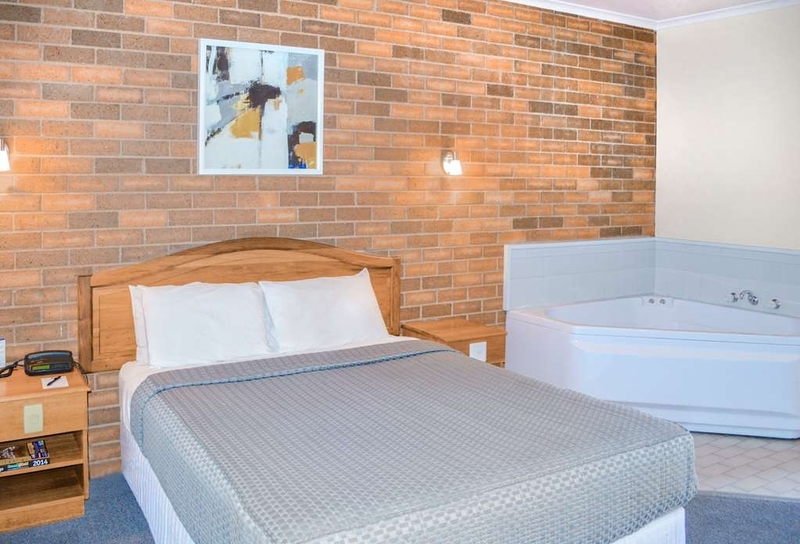 "Well located motel presented to a good standard"
This motel is located right by the cathedral within walking distance of the centre of Bendigo. Our room was to a good standard with all the usual motel facilities. I have a feeling it had been recently refurbished. If not, it was extremely well maintained. A good choice particularly if you like to be close to the town. Thank you FarhorizonsOz for your comments on your recent stay at the Cathedral Motor Inn and we look forward to welcoming you back on your next visit to Bendigo. Thank you DShalders for reviewing your recent stay at the Cathedral Motor Inn. Our central location makes it easy for our guests like yourself to walk to the beautiful Rosiland Park and our main shopping area and restaurants. Very friendly staff, only stayed one night, good info about food locations, central to city, location, location, location. Wifi was unsecured, which resulted in smart phone not connecting, Laptop connected ok. Bed soft but comfortable. we left something in the room and the staff rung us very promptly while we we on the road to return and collect. thankyou for that. Thank you Gary T for taking the time to comment on your recent stay at the Cathedral Motor Inn. Our location is very central to allow our guests the freedom of walking to our great restaurants and shops. We look forward to welcoming you back on your next visit to Bendigo. Very clean and well maintained room, very friendly and helpful service from staff. Good value and great location, easy to find and within walking distance of shops and restaurants. will return if ever the occasion arises. Thank you Karen for your lovely comments on your recent stay at the Cathedral Motor Inn. We are happy you enjoyed our great location and friendly service. room is clean, neat and tidy. Great location and next to the cathedral landmark. porta-cot for my son wasn't arranged on arrival, however, the staff investigated it immediately and borrowed another porta-cot from another motel/hotel. Very impressed overall, highly recommend. Thank you Adrian for your lovely comments and we look forward to welcoming you and your family back on your next visit to Bendigo. Found the room to be comfortable, warm and inviting. Great shower. Overall a great experience. The manager was friendly and I would definitely stay here again. Do yourself a favour and try it out when your travelling to bendigo. Thank you for taking the time to review your stay at the Cathedral Motor Inn and that the experience was great. The Best Western Cathedral Motor Inn was ideally placed with a great outlook over parkland to the cathedral in the city centre. This landmark made the location of the motel easy to spot from anywhere in the CBD - especially helpful if you are on foot.The service was friendly and efficient, the room was tastefully decorated and well maintained. Thank Elisethepolice for your review on your stay at the Cathedral Motor Inn. We are glad that your stay was enjoyable and we look forward to seeing back here soon. "We would always come back here"
We have stayed here before, and had good memories, so it is a pleasure to come again. Reception staff are friendly and welcoming. We have a delightful upstairs room with a view out across lawns and flowering elm trees to glimpses of the Sacred Heart Cathedral beyond. I would choose an upstairs room for the view, but there are stairs. The room itself is large with plenty of character. The large windows have arched tops, and open out onto a small balcony. Three Chinese paintings decorate one wall. There is plenty of space for storing cases, a sofa, table and chairs, and a queen sized bed. The room has tea and coffee making facilities, and a generous biscuit provision. Bendigo is a cold place, and the bed has electric blankets. A thick extra blanket is provided, and we find that this together with the silent air conditioner on low keeps us snug overnight. The ensuite is large with a satisfying shower and a vanity with lots of bench space. We appreciate the cake of soap and various shampoos. We enjoy the breakfast which is delivered to our room. The free wifi is easy to use and permanently on; it does seem to slow down in peak periods though. Short wish list: a heat lamp for the cold bathroom, and a restaurant with buffet breakfast! The motel is in an ideal situation for us, with a bakery two blocks down the road, and the city centre a short walk in the other direction. We would always come back here. Thank you Paul for your kind words on your recent stay at the Cathedral Motor Inn. Your comments I'm sure will be a great help to any future guests we may have. Thank you again and we look forward to welcoming you back on your next visit. Enjoyed my stay very much and found it to be surprisingly peaceful,would recommend it to anyone who is looking for a clean no fuss type of accommodation,I'm looking forward to heading back to Bendigo ver soon. Thanks Tom for taking the time to review your stay with us. Great that you found it quiet and peaceful to come back to after working all day. We look forward to welcoming you back to the Cathedral Motor Inn on your next visit to Bendigo. We had a wonderful night at this motel, room was clean and modern. Staff was friendly and helpful, great Central location. Enjoyed the spa only thing to improve was tv could have been a little bigger. Thank you Kerry for your kind words on your recent stay at Cathedral Motor Inn. Room comfortable, beds comfortable too. Great to have room service for breakfast, which was well done and timely. 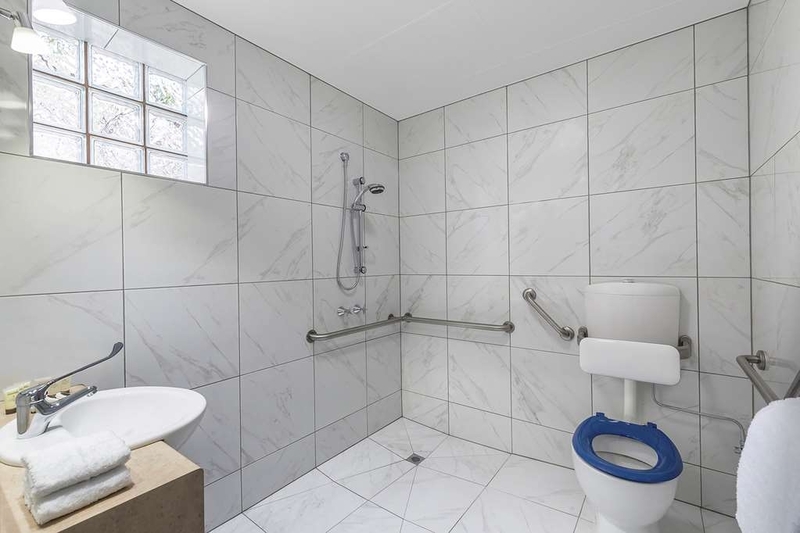 Bathroom could have done with space for clothes, eg extra rail, hooks and/or benchtop. Also, shower was completely exposed so that when taking a shower water splashed everywhere making floor messy and slippery. Thank you 293bridgetd for your comments on your recent stay in our disability room at the Cathedral motor Inn. Glad you enjoyed your breakfast delivered to your room. We look forward to welcoming you back on your next visit and l have made a note to put you in a different room. Very friendly and helpful staff, spacious and well-equipped rooms, quiet surrounds but close to the city centre. Also, a delicious (and HUGE!) breakfast! I would recommend Best Western Cathedral Motor Inn to anyone staying in Bendigo and needing a place to stay. Thank you Paul for taking the time to review your stays with the Cathedral Motor Inn we love your feed back on our breakfasts and the lovely comments on our well equipped rooms and friendly staff. We look forward to welcoming you back on your next visit to Bendigo. My wife and I were in the Bendigo region to visit friends, so we came down on Saturday for a visit on Sunday. We stayed overnight at the Cathedral Motor Inn. We found the room clean, the bed comfortable and the management really helpful and friendly. The position was great - we were able to stroll a short distance up High street to a great restaurant for dinner. We would stay again. Thank you for choosing to stay at the Cathedral Motor Inn on your recent stay over in Bendigo. We are happy that you enjoyed our clean rooms and took advantage of our great location to our local restaurants and shops. We arrived right on 3 pm on a Sunday to the pleasant peeling of bells in the Cathedral nearby. What a joy they were to hear. Apparently this happens every Sunday. Our room was very comfortable and the queries we had were nicely answered at reception. Hot breakfast in the morning was filling and enjoyable. We will be staying there again any time we need to be in Bendigo. Thank you Aussietrish1 for reviewing your recent stay at the Cathedral Motor Inn and for your lovely comments. We look forward to welcoming you back on your next visit to Bendigo. I stayed at the Cathedral Motor Inn for one night as part of a conference. It was handy to the central part of Bendigo. The room was clean and well presented and the reception were very obliging. The in-room meal was good and the coffee was hot (which was a nice surprise given it was delivered to the room. Thank you for reviewing your recent stay at Cathedral Motor Inn and your lovely comments. We all look forward to welcoming you back soon. The staff were very hospitable and accommodating. The room was very nice. It was cleaned well. And one night they didn't even annoying put all the pillows back like most hotels do. One little touch I was most grateful for was that the room had an iron that worked well. Thank you Simc757 for taking the time to review your recent stay at Cathedral Motor Inn and for your lovely comments which we greatly appreciate and we look forward to welcoming you back on your next visit. "Pleasant surprise and a hidden gem"
Stayed at the Best Western Cathedral Motor Inn for the first time in Bendigo and was pleasantly surprised. Having stayed at a number of hotels over the years in Bendigo, the Best Western has great rooms. The rooms were spacious, well appointed and had lots of extras. It is well located so we could walk into town and the car parking is an absolute bonus. Thank you Peter for sharing your experience at the Cathedral Motor Inn and your lovely comments on the motels great location and spacious rooms. A lot of our guests take advantage of our off street free parking which enables our guests to take the short stroll in to the centre of Bendigo to our great tourist attractions and restaurants. Stayed one night and were given a refurbished downstairs room. Very large room very nicely furnished. Wifi excellent, toaster and jug provided for in room tea and toast. Comfortable bed, good linen and towels. Plenty of hot water and good pressure. In room heating was excellent ( necessary in Bendigo in winter). A nice walking distance to shops and restaurants in the CBD. Highly recommend. Thank you Christine for taking the time to review your stay with us and your lovely comments on our newly renovated disability room. My reason for staying here is a long story. To make it shorter, I was was given very bad service from another motel in Bendigo which resulted in me looking for somewhere else to stay for the night. I called the Best Western Cathedral Motor Inn, the phone was answered by Phillis who was very helpful & went out of her way to make me feel welcome. Based on this experience I would be happy to stay here again. Thank you Brett for taking the time to comment on your stay with us and that we were able to show you what Bendigo motel hospitality should be. We look forward to welcoming you back to the Cathedral Motor Inn on your next visit to Bendigo. I specifically booked a Deluxe Room. Wasn't put in a Deluxe Room. This was disappointing. The Standard room wasn't as nice as the deluxe looked. Otherwise, had a nice stay. The motel was walking distance to shops and cafes. Great location. Thank you Kim for taking the time to comment on your stay at Cathedral Motor inn. It is also disappointing to us that you were disappointed in the room you stayed in. Unfortunately the online booking you made came thru on our system as a standard room. On the brighter side we are happy you enjoyed our great location to Bendigo's amazing cafes, restaurants and shops. I hope you will choose to stay with us on your next visit and maybe ring us direct to enable us to give you the correct room of your choice. Return visitor. Still the best place to stay in Bendigo. Centrally located to restaurants & attractions, spacious clean rooms & friendly staff. Love the opening windows also! This hotel never disappoints. This is the second time we have stayed at this motel whilst in Bendigo and we would happily stay there again. The staff were very helpful, the rooms comfortable and clean. The motel is situated in the CBD and you could walk to restaurants and shops. Thank you Stephanie for sharing your experience staying at the Best Western Cathedral Motor Inn. Great to read your comments about our great location and clean comfortable rooms. Look forward to welcoming you back in the future. "my go to in Bendigo"
Love this place! it is my new go to in Bendigo. Typical Best Western, but it has been refurbed and the bathroom is great. the rooms are quiet large - plenty of room to work and spread out if needed. the rooms i get have a small kitchenette (like to take care of myself due to ridiculous work hours. The bed is also comfy. Parking is a little weird, and it is only a few blocks from the Beechworth bakery (i'm a fan!) . The staff are also lovely here. There are upstairs and downstairs rooms - but no lifts, so just be aware. We had indicated on our booking form that we would arrive between 8 - 9pm. We had a call from the motel around 6.00pm confirming our time of arrival. Thought that this was a really good thing. Not sure if it is normal practice. There appeared to be plenty of off street parking which was good. The room we had was large and clean. The only thing that I would look at ( and this is personal ) is the height of the shower and the water saving rose that's on it. THROW IT AWAY. While we were able to get under the Shower ok, I think that some of our family, should they stay, would find it challenging. But as I said, these are only personal opinions. The shower was great and the hot water, unlike alot of motels, came through fast and had plenty of pressure. We would definitely stay again. "Cosy but a bit dark"
Room is spacious. We stayed in the room with a spa bath. Our room was number 3. Only very minor complaints, we had an old looking room, which was a bit dark even with the lights on. I hope they update the room soon. While my electric blanket worked, my partners did not. Receptionist lady was friendly, also housekeeping seemed nice as well.. (Most housekeeping people in other places we have stayed in dont even make eye contact). Spa bath was nice and relaxing. -Great to have a spa bath with the tv on. Bed was very comfortable. Location was great. Overall, I hope the room gets an upgrade. Either way, it was a nice place to stay in and if we are back in Bendigo, we would love to stay here again. Very nice rooms. Clean and pleasant. I would definitely recommend staying here, and would stay here again. Free wiifi and free laundry facilities was appreciated. Movie channels on Foxtel was an added bonus. Cooked breakfast served in the room was particularly nice. Great value for tariff…coincidence, same room allocated No 31 when staying three nights last February when at Bendigo stewarding Harness Horse championships. Wrote letter, then, post-stay commending motel on its standard. Stayed here for the first time. It was genuinely of the best accomodation options in Bendigo at a reasonable price for a family. Stayed in the family rooms with a queen bed and separate room with 3 singles. Location very close to town. Walking distance to most attractions. Ample parking. Very friendly and attentive front of house and housekeeping staff. Have stayed in various serviced apartments and motels (family rooms) in Bendigo and this would be the pick of the bunch. We found our stay at the Best Western Cathedral Motor Inn very pleasurable. The facilities were good and the place was very clean. Street noise was barely discernible. It was also important to us to know we could park our vehicle close to our room and away from the street. Our family of five stayed here in a family room. The room was very large with separate bedroom fie the kids. Clean, modern, helpful staff, and a fantastic location to explore Bendigo on foot. We would definitely stay here again. I have stayed a number of times over recent years at the Cathedral Motor Inn and found the staff always friendly and helpful and the rooms and services excellent. I would recommend the Cathedral Motor Inn to anyone staying in Bendigo. "The most relaxing and friendly stay I've ever have"
Best Western Cathedral Motor Inn was easily the best, most relaxing, enjoyable stay over I've ever had. I've stayed in some incredibly expensive 5-7 star hotels all over the world; but the peace, the friendliness of all the staff (especially reception and management) , the great breakfast, the view to the Cathedral, were just what my doctor ordered (or should have) so I told him. I went for one night, and each morning I'd ring and extend it a day. Sometimes two at a time. I never wanted to come back to this mountain of work I still haven't caught up with. But it was worth every late night I've had to have had real time off in a friendly homestyle place. I'll be back there any day I can. Quite, clean rooms and handy location close to the CBD of Bendigo, restaurants etc. As a frequent traveler these things are important. Reception staff are always very polite and helpful. This hotel was recommended to me by a friend and I have stayed there since. our room was very comfortable, clean and generous with a couch also. The room was very quiet despite being near a main road and glimpses of the cathedral next door were nice too. Would recommend and stay again. This centrally located motel with its helpful host provided clean and spacious accommodation within easy walking distance of the Gallery, Gardens, Goldmine and gourmet ( I like alliteration!) restaurants. spacious room, great bathroom with instant hot hot water which was great, electric blankets that would cook you on a cold night. short walk to city centre, perfect spot beside a great bendigo landmark. hosts friendly, curteousy call to check my arrival time. couldn't ask for more. "Friendly staff and owners. Room is very well presented. Value for money and I would recommend. Great location." Friendly staff and owners with excellent customer service. The room was amazing and very well presented. Great location and close to everything that we needed. I would highly recommend the Best Western Cathedral Motor Inn Bendigo. "Better than any other places we have stayed at"
The service and rooms were above standard, well presented and very clean. One of the better motels we have stayed in as a family. Staff were extremely nice. Breakfast was delicious! Very convenient position in town too. 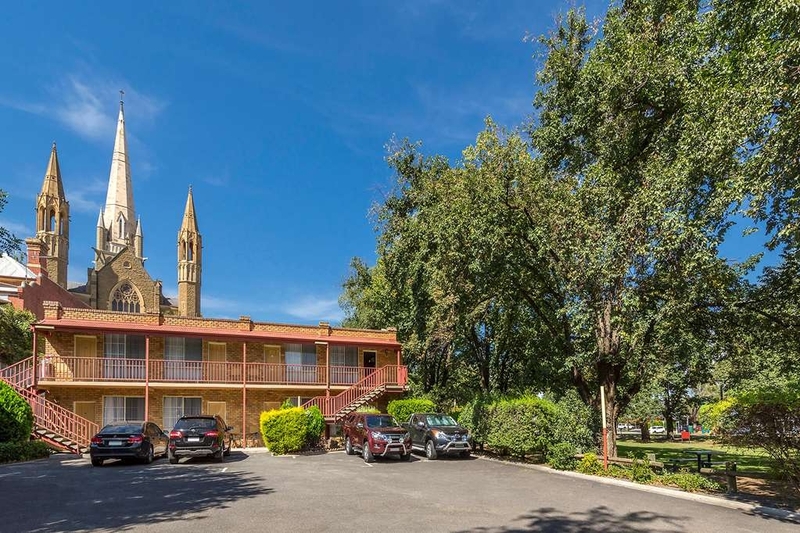 This motel is superbly located very close to the Sacred Heart Cathedral and the Bendigo central business district. It's easy walking distance. The staff is friendly and the rooms are clean and comfortable with good beds. We had a cooked breakfast delivered to our room with piping hot scrambled eggs and crispy bacon. Will definitely return. "Bendigo - Best Overnight Stay"
The staff were friendly, accommodating, and inviting. The room was clean. The location is superb. Central, walking distance to shops and the hotel itself has easy access to the car park from the road. Great value for money. Will definitely stay here again. Lovely staff. Enjoyed my stay, a great view of the cathedral from my bedroom. The room was clean, tidy and functional. Upon check-in I was made to feel welcome and offered additional milk for tea and coffee should I need it. We stayed at the Cathedral motor inn as our daughter was participating in a singing competition. The view of the Cathedral was amazing and the room we had was very clean and comfortable. Definitely recommend this motor inn. We will be back!! 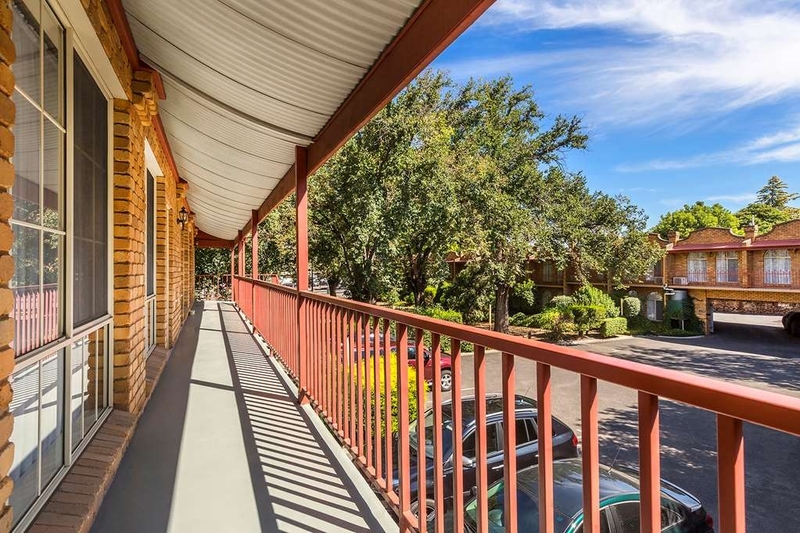 "Best location to see Bendigo"
This is an older style motel but has all the modern amenities, is clean, quiet, comfortable and most of ever so accessible to the city of Bendigo. 10 minutes walk southbound gets you to the Beechworth Bakery and the Central Deborah Gold Mine, as well as the start/end point of the Talking Trams/ANZAC Tram tours. 10-15 minutes the other direction gets you right into the heart of the city. The majestic cathedral is literally a stones throw away. The queen sized beds we felt weren't quite queen sized and the one we had was rather bouncy, however that isn't really a fault. You really couldn't be happier with the location and cleanliness at the end of the day. In an eccellent position, handy to shop, resturants, entertainment venues. Room was presented in an immaculate condition. Has microwave,toaster electric jug, TV, air con,electric blankets.Very helpful and friendly staff..Highly recommended. "Comfortable motel in the centre of Bendigo "
Comfortable bed. Clean spacious room. Very easy walk into the main part of Bendigo. Good car parking. We didn't try breakfast at the motel as we'd had a big dinner the night before. We enjoyed our stay. I have stayed several times at the Cathedral Motor Inn on business trips, generally just an overnight stay. The rooms are always clean and comfortable. Although on the main street leading into the city centre of Bendigo it is very quiet and there is little or no traffic noise. Breakfast, served in your room, is also available. The thing I like most about the motel though is its location. A block away from the majestic cathedral and only a couple of more blocks to the city centre, where you will find many restaurants, bars, shopping and other attractions. Leave your car and walk. Extremely helpful and friendly staff at reception upon arrival. We were travelling with our 7-month old son and the motel was very accomodating with a family-friendly room ready to go with a porta-cot. The rooms are a good size and the bathrooms are excellent. The management/ staff couldn't be more helpful, even down to providing warm water for iced windows on cars. There is even a car wash space provided, excellent for car nuts. Also, client laundry facilities. We will be back. 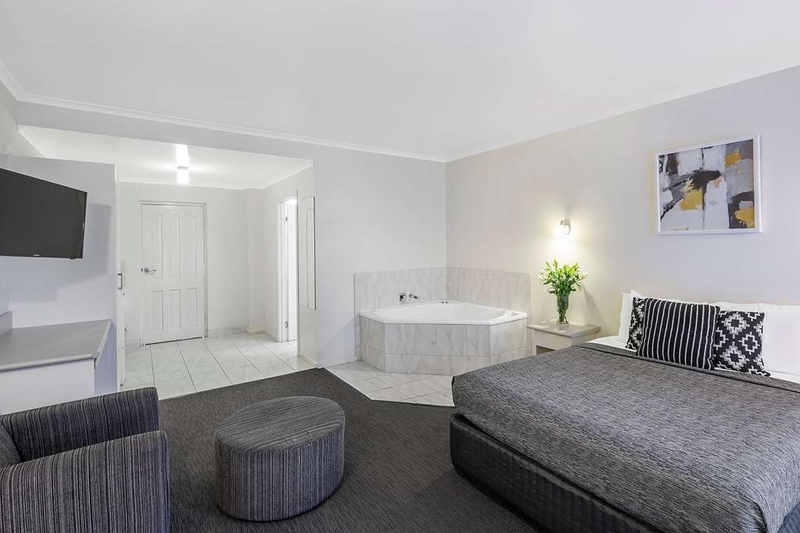 "Excellent stay in central Bendigo." Warm, clean and good. Paradise on a cold weekend in Bendigo. Upgraded to a twin room to accommodate our young son in his own bed Room was ready for an early check-in and toasty when it was freezing outside. Loved it and would stay again. Perfectly located adjacent to the stunning Cathedral and easy access by foot to the city center. As business travelers it ticked all the boxes. Quiet rooms, easy access and parking, newly refurbished including very comfy beds. "Clean & comfortable stay in Bendigo"
We stayed here on Friday night on our way through to Echuca for the weekend. Clean and comfortable room. Good location as we walked into the main street of bendigo for everything. Car parking easy and safe outside your room. Reception service very friendly and helpful. If we're ever in Bendigo again we would happily return. "Clean large rooms in a great location. GF breakfast a huge plus." We were quite impressed with the size of the room, lots of room to spread out and relax. The bed was large and comfortable nothing like having a good nights sleep and waking fresh. We ordered Breakfast and it was large and everything well cooked. We were impressed with the Gluten Free options and there was no contamination. If you are GF you know what I mean. The rooms were so clean I could not fault it at all in this regard. Great stay and yes we will stay here again next time we are in town. My husband and I stayed here for 5 nights in May celebrating our 54th wedding anniversary. We arrived by train from Melbourne and it was an easy 15min. walk to our accommodation from the Central Train Station. Our Standard Queen Room included a small well lit kitchenette with a microwave, toaster and sink. The room it self was pleasant and comfortable with the exception that we would have liked more lighting in that area. The reception staff were extremely helpful and patient helping us connect our electronic devices to their wifi network. The motel is well situated for walkers and we managed 59kms over our 5 day stay, including the Bendigo Creek Bike Path. For those who don't want to walk and don't have their own car, there are local buses you can can take to get to the many attractions Bendigo offers. We were quite pleased with our stay and would not hesitate to stay there again. The room was large and comfortable with full self catering facilities.Roomy bathroom. It is a little way out of town so unless you want fast food you will probably need to drive into town. My only complaint was that it smelt as if someone had been smoking in the room when we arrived.Once we opened up the windows it was fine. "Clean, comfortable accommodation in a great location." Found the staff very cooperative and friendly. Room was very clean and comfortable with all amenities. The location so close to the City Centre it is ideal for catching the tourist tram to see the sights. The room I stayed in was large. A basic motel style layout. There was a kitchenette and it was quite comfortable. the bed was of good quality. I quite enjoyed an overnight stay. The hotel is very close to the Cathedral and it is an easy, flat walk to the city centre, and the gardens. The tram runs along the street. The location is excellent for a visit to Bendigo. Check in and check out was easy and the staff were helpful. Extremely helpful and very professional and friendly staff, especially on reception, couldn't do enough to accommodate us. Room very clean and well appointed. Hot water and shower plentiful and beautiful to enjoy! very central to everything. "Very comfortable accommodation in a convenient location"
Welcoming and helpful staff. Lovely ground floor room, spacious with all mod cons. Location close to Sacred Heart Cathedral which is a must to visit. Easy walk to Central Deborah Gold Mine site and Vintage tram Tour. Fantastic accommodation. Great location. Very very close (easy walking distance) to city centre. Friendly staff. Clean and comfortable rooms. Tasteful décor. Stayed here for a weekend away, saw the sights and had a nice and quiet room to come back to. This was a good place to stay in Bendigo the room lacked nothing,and the price was excellent. Good size room and bathroom. The Queen size bed was extremely comfortable and the room very clean.The kitchen was useful if you were staying longer than 1 night with eveything you could possibly need.Friendly staff and would definitely stay there anytime and next time I would book direct with Best Western for senior discount. Great value compared to other places we have stayed. The Motor Inn is very accessible to a lot of attractions in Bendigo. Staff were very helpful warm and friendly. I would certainly come and stay again and would recommend this place to friends visiting Bendigo. We had a lovely quiet , spacious room that was immaculate. The décor was very pleasant and the queen sized bed was very comfortable ensuring we had a great night's sleep. We did not get a discount on our room even though we are seniors or racv members but we were given a lovely complimentary breakfast. It was delicious. Thank you Robyn for your review and your comments. We look forward to welcoming you back on your next visit to Bendigo. "Clean comfortable accommodation, hand to city centre"
We stayed for 6 nights in a studio room. The room was spacious, clean and had a kitchenette. Soundproofing was good - no noise form adjacent units or the car park. Its not double glazed so there was a little road noise in our unit (room 29) but not so much as to be a problem. Aircon was very efficient and the quiet setting was very quiet. Easy stroll to city centre. Staff friendly and helpful. Would stay again. "Good, clean, comfortable place to use as a base." My wife and I stayed here for two nights when we stayed in Bendigo as part of our tour of the Victoria Gold Mining areas. It was recommended by, and booked through, the tourist information office that can be found in the city centre in the Town Hall. The hotel itself is right next to the huge imposing cathedral, hence the name. We were given room 29 on the first floor of a two storey annex at the back of the hotel. The room was clean and quiet, with a nice kitchenette. It offers free wi-fi and a free guest barbecue. Althoug it is out of the centre, it is an easy walk back into Bendigo centre to the shops, pubs and restaurants. All in all a nice clean place, with friendly staff. We would have no problem staying there again. Thank you Nick for reviewing your stay with us and that is was an enjoyable experience we look forward to welcoming you back on your next visit to Bendigo. "A nice surprise. Spacious room with kitchenette." To be honest, I didn't expect much from this Motor Inn but was pleasantly surprised. I was given the disabled room and found it spacious, clean and comfortable. The bonus was the kitchenette where I could prepare my own light meals. Close to many restaurants though and walking distance to all that beautiful Bendigo has to offer. Stayed three nights, visiting friends and exploring surrounding areas, but next time, shall stay longer knowing I can make the BEST WESTERN Cathedral Motor Inn my 'home away from home'. Thank you Jude for taking the time to review your stay with us. I'm glad you had the facilities that suited your needs and took advantage of our great location. "Get the renovated rooms. " Here for a last minute event in Bendigo..booked the night before online. Lady at reception was polite and helpful. Glad I paid a little more and got a renovated room. No breakky included but can be bought and delivered to the room via a little door, cute! Great walking distance to Bendigo CBD. Upgraded room was clean and fresh. We got room #20 upstairs facing the garden. This motel is excellent . Rosalie and Vanessa were really helpful. Location is perfect and the room was spacious and very clean. A short walk to city centre. Close to all the attractions of Bendigo. When arriving back to room every day it was spotless. Highly recommend this motel. Very clean and comfortable motel, the motel is in an excellent location, within walking distance to excellent hotels and restaurants! Extremely Enjoyable stay, would certainly come back for another stay! We stayed in a double spa room at this hotel recently. The receptionist was very friendly and our room clean and quite satisfactory. We had the "spa" room as it was the only room available and even though the room was right at the front, on the roadside, we didn't notice the traffic noise until the next morning. The decor reminded us of hotel stays 20 years ago but nonetheless this was a fun stay for an overnighter. The walking distance to very good restaurants is a plus for this Motor Inn. "Wonderful location and excellent motel"
We stayed during the past week. Two rooms. The rooms were clean and that is the number one priority for us. Apart from tea and coffee making facilities, there was a microwave if you wanted to re-heat food. The staff were most helpful and friendly and went out of their way to make us feel welcome. I was surprised when the fruit that I ordered for breakfast was actually freshly cut with a variety of fruits. We found the motel quiet during the night hours with heavy traffic starting up again after 5am. The motel is close to many old and beautiful historical houses and the magnificent Cathedral is across the road. There is a great hotel Bistro within walking distance. We would certainly stay at this motel again. "It was even better than previously"
It was quite a few years ago when this motel was my Bendigo base. But then my work demands changed. This time we returned for leisure. It always was good, but this time the renovated downstairs room was excellent. There was plenty of space, and reasonable privacy without having to close the curtains. The club chairs were comfortable, as was the bed, the shower was like a massage, the room facilities offered every comfort. Our welcome at reception made us feel valued. Breakfast the next morning included the best-cooked fried and poached eggs! Add the location, easy walking distance to the CBD, Cathedral and Art Gallery, and this property provides a great base for a visit to Bendigo. "Great Location & wonderful service." I had all my staff stay for a week. No issues at all. Great friendly staff. We will be back again next year. The rooms had everything needed and the rooms nicely fitted out. It is hard to say much else. Since we last stayed here 6 years ago, the rooms have been given an upgrade. Our queen room was large and had a sofa, dining table and chairs. Plenty of on site parking. Location is walking distance to the city centre. While we were staying there was an issue with our room's smoke detector which was handled quickly and effectively. "Service and location trump decor and facilities"
In Bendigo there is a limited selection of property types, mainly mid range motor inns. Cathedral is a stand out so far due to the incredible service (friendly, available, practical) and the excellent location in easy walk from the town centre, and about 10 minutes walk from the railway station. The tram is at the front door. You earn QFF points :) Oddly one thing is the windows are not double glazed against cold or noise. Welcoming friendly staff, a very quiet ,comfortable and clean place to stay within walking distance to shops, places to eat and things to see. We thoroughly enjoyed our visit, and would definitely stay again. "Excellent location and spacious rooms." This is a great motel, close to everything, with very friendly and helpful staff. The rooms were clean and well maintained and there was plenty of space in the bathroom. We travelled with extended family and had rooms on both the lower and upper levels. All had a view of the cathedral which was particularly spectacular at night. Highly recommended! "Best Motel in Bendigo "
I was plesently surprised by this Motel. My room was clean and modern, plenty of parking and a great location. I actually had a view from my window facing the Cathedral. Absolutely breathtaking at night. Breakfast was also amaizing. Highly recommend! Very nice room on first floor, overlooking small park. Better than usual motel room lighting. Well-designed spacious room and bathroom. Brilliant shower. Air-con and electric blanket very much appreciated during wintry temperatures. Less than 10 minute walk to centre of city and heritage features. "The BEST best western of our trip!" We stayed at a few best westerns over our month long trip down under. This was the pick of the bunch. It was easy walking distance to Bendigo centre, the staff were very accommodating, but most of all it was easily the best value best western we stayed at. People questioned why we added Bendigo to our trip. It was on a friends advice, and we were so glad we did. Lovely little country town. "Excellent - no problems here"
"High quality, good value motel, walking distance to central Bendigo"
I was after a high quality, good value motel, that was within walking distance of central Bendigo, and I found exactly that in the Best Western Cathedral Motor Inn. My room (Deluxe Queen) was clean, modern and bright. All the appliances worked perfectly - heater, electric blanket, kettle, fridge. The bathroom was large and modern, with great water pressure and lots of hot water. The motel is on the main road in to Bendigo from Melbourne but the traffic noise was barely audible during peak hour, and couldn't be heard overnight. The wifi worked well, there was off-street parking, and the staff were very friendly and helpful. The motel is an easy walk (10 minutes) to the shops, restaurants, parks and attractions of central Bendigo. I would gladly stay at this motel again. Our stay at the Great Western Motel was a suberb visit. Our room was very clean and comfortable. The bathroom was very neat and clean. The staff in reception were friendly and courtesy when we arrived and if we needed anything else they helpful. The breakfast each morning was overwhelming and delicious. Thank you for your hospitality. "Clean and comfortable motel in good location"
Staff were great, room was clean, would stay here again 5 stars!!! I stayed for work, but I am looking forward to coming back with my family. Meals were excellent quality and value for money. The Motor Inn has so much character. "Excellent value, stylish and comfortable"
We were staying at the best accommodation we could find at the end of each day on our road trip around Victoria's lush countryside. We decided that Bendigo was as far as we wanted to go that day so drove around looking for something that appealed. Just a few blocks from the Sacred Heart Cathedral we found the Best Western Cathedral Motor Inn. We booked in asking for a quiet room and settled for a deluxe double that ticked all the boxes for us. Not only was it quiet, despite the traffic outside, it was really spacious,had been recently refurbished and felt brand new, decorated with restrained modern elegance. Restaurants were only a couple of blocks distant (though we could have opted for room service) and the motel seemed to be central to all the attractions that Bendigo offers, including its excellent regional art gallery. The Cathedral is really good, very clean rooms and the bed is very comfortable . Only down side is being on them main road. I had two different rooms as my stay was unexpectedly extended. The rooms around the back are better as you don't hear much traffic but the front ones are fairly noisey. This was my first stay at this motel. I booked 2 rooms for myself and an employee. We found the rooms to be very clean, comfortable and well appointed. My only comment is that the pillows and mattress were both rather hard for my preference. This of course is not a poor reflection of the motel, just my personal preference. The staff are friendly and the service reliable and prompt. Our breakfasts were hot and tasted good when delivered which is a real achievement, even in a 5 star establishment. We are booked in again for this week so looking forward to a similar experience. "Clean, Comfy and Close to Town"
Located just next to the cathedral, and about a few minutes drive to CBD, this motel has very friendly staff at the reception. It offers a very clean room, with electric blankets. The room we got was huge with twin beds and a table to work on. Still it had plenty of room. Well equipped kitchen. Bathroom very clean and not freezing cold like other motels I stayed before. Water pressure is good. Laundry is FREE (so we washed a lot of stuff) and there is a free laptop to check email in the lobby! The room we had faced the garden area. It was very nice! "Review of stay at Cathedral Motr Inn"
Very good condition, nice bathroom, comfy bed! Very good service and very clean. I throughly enjoy staying here and would recommend to any of my friends if they were looking for a place to stay! I would most defiantly stay there again! Stayed overnight, quiet,clean & confortable. Just across the road from magnificent Cathedral & also very central to town. Staff helpful, forgot to get invoice when I left so rang later & was able to get one emailed. Would stay again. This Hotel was my second choice as my normal hotel was fully booked, but this one is going to be my go to hotel when I need to stay in Bendigo. The reception staff were fantastic and as it had been booked via the Internet for me, I didn't have time to look it up as it was booked on my way there. I needed to change my room from a first floor one to a ground floor one which was done within a couple of minutes of my arrival. The rooms are clean and airy with some nice prints on the walls. There was a kitchenette in the room which wasn't expected but would be good if you were staying for a few days. The only down side was the split system wasn't heating but it wasn't an issue as even though it's freezing in Bendigo the wasn't cold. Big bonus was the large shower cubicle and queen size bed. The brand of complimentary coffee was bitter but the kooka's cookies more than made up for that. There isn't an onsite restaurant but there are 4 of the big fast food chains with walking distance and lots of cafes as well. For those with the Pokemon Go addiction the park next to the hotel is a poke stop and the church around the corner is pokeman gym. The cathedral next door is a sensational piece of the craftsmanship of the stonemasons that built it and well worth a walk around it. "Best! 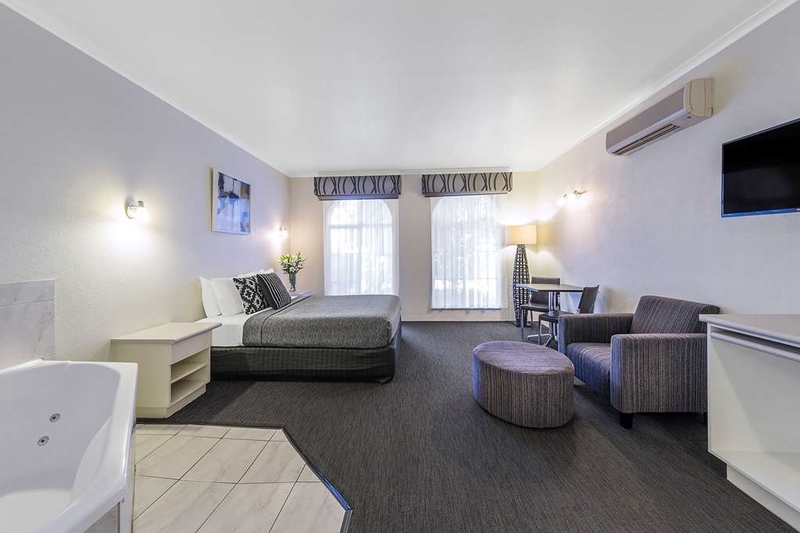 Best Western in Bendigo "
Excellent location to the CBD. Quiet and very comfortable. Large room, comfortable bed, excellent shower, staff were very pleasant and friendly. Definitely recommend this motel to all travellers visiting Bendigo. Stayed for 3 nights last week. Extremely convenient for the town center, museums, and restaurants. The rooms are of good size, comfortable and clean. And surprisingly quiet given its town centre location. Staff also very friendly and helpful. Room was clean and well maintained but the grumpy manager overcharged when I paid the bill on the final evening to speed up check out when we left the next morning. Had to retrieve our paperwork to prove I should be paying 10% less. Practically threw the credit card back across the desk and we discovered she had switched our WiFi off when we got back in the room. Petty and unprofessional. There are plenty of other accommodation options in Bendigo that can treat you better than this. Large room with a few extras. Accommodating staff who happily changed rooms for us to a better bed configuration. We had a front room meaning there was some traffic noise, however nothing that disturbed our sleep. The room was very clean, lots of tea and coffee and we were given fresh milk on our arrival which we appreciated. Thank you Belinda F for reviewing your stay with us. I was only too happy to move you to another room which suited your requirements better. We look forward to welcoming you again on your next visit. We had stayed previously at the Cathedral Motor Inn ten years ago until our very recent stay. 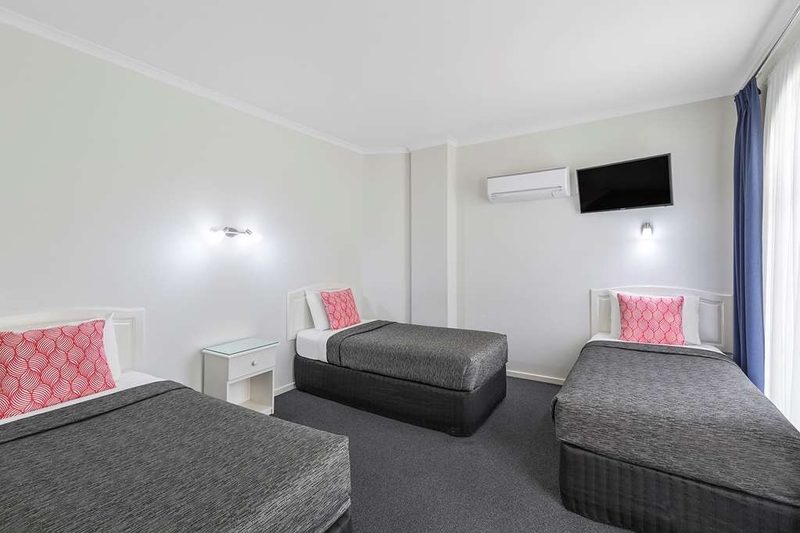 The rooms are quite well appointed and spacious, the service was friendly, and the motel is incredibly well located to the heart of Bendigo. We did have a good sleep and the bed was comfortable; however, we were in a room close to the main road, and there is a quite a bit of road noise - we slept because we were exhausted from too much driving ! The hotel has free wifi, but we found that it dropped in and out a fair bit, which was a bit frustrating. Thank you for taking the time to review your stay with us and for your comments which help us improve our service. We were in Bendigo on a Sunday afternoon and decided to stay at the Cathedral Motor Inn before visiting the Marilyn Munroe Exhibition. We were very impressed with the cleanliness of the motel. It was also very quiet despite being in the middle of town! Thank you LincolnLoveday for your review on your recent stay at our motel. Our location certainly is a winner for our guests who like to explore our city on foot. I hope we can welcoming you again in the future. Our group of three stayed in a family room of one double bed and two singles located upstairs. Our window overlooked a lovely park with a view to the cathedral and city. A balcony enabled an outdoor panorama. Rooms was very clean and tastefully decorated. Beds all had electric blankets, bathroom toiletries plentiful and of a good standard. Heating adequate but goes off when you leave the room and you need to restart it. Wi fi worked a treat. A very comfortable stay. "Park the car and walk"
I booked the motel after reading positive reviews and was very happy with the choice. The room was absolutely spotless, quite comfortable, within easy walking distance of the town centre and many of the local attractions. We were in Bendigo for the Marilyn Monroe exhibition and it was an easy 10 minute stroll to the arts precinct from the motel. We spent two nights here and didn't need to use the car at all during our stay with restaurants and pubs also within walking distance. I wouldn't hesitate to recommend this motel for short stays in the very lovely city of Bendigo. I chose to stay here with my husband for 2 nights after reading previous reviews and it totally lived up to it's reputation. The location is excellent - close to the city with easy walking distance to many amenities and tourist attractions; quiet; very, very comfortable, clean and attractive room (in freezing winter weather! ); excellent, helpful staff/service; lovely surroundings with beautiful Cathedral and wintery park seen from our window and a very affordable price for 2 seniors. Thanks for our very enjoyable stay and it will be our choice for next time! We have stayed at several other motels in Bendigo during previous visits but decided to try this one, especially as it was close to the Gallery where we were going to view the Marilyn Monroe exhibition. We not only found it convenient and comfortable, but the service was friendly and efficient. Our every requirement was met without any hesitation. When we checked in, there was much activity at reception with a number of travellers all arriving at about the same time, but everyone was attended to quickly. Everything is set up to ensure prompt attention e.g. we could help ourselves to milk in a fridg. in reception without having to wait, questions about local restaurants were easily answered and menus produced from a rack containing a variety of brochures for activities in the area. Above all we found the room clean and well designed with tasteful décor. Our one night here was a pleasant experience and we would choose to stay here again when in Bendigo. The location is perfect for visiting many of the attractions. Well situated close enough to walk to Shamrock Hotel and CBD. Staff very helpful and friendly. Lighting in our room could be better - no light over the table for eating and also very hard to read maps and tourist information. Needed to go into bathroom or use the kitchenette and stand while reading. No WIFI as it was out and had to call for assistance with the bathroom sink and TV channels. Overall the room should have been cheaper. We found other accommodation cheaper with free breakfast. Have used Best Western before and unfortunately this room was not up to scratch. We really loved staying in this motel the rooms were very comfortable, the staff very helpful and friendly, we stayed 2 nights. We had everything we needed, including fresh milk for our tea. The motel is walking distance to the centre of town, so I would recommend your visit. We stayed in a family room (double room, sleeps 5) located towards the rear of the property well away from any road noise. The accommodation was roomy, comfortable clean and fresh with a TV and aircon in both bedrooms. The only drawback was we were unable to connect to the wifi on either day. The location is close enough to the centre of Bendigo as we needed for our visit. Reception staff were very pleasant and helpful and provided fresh milk from fridge in reception area. Our room was spotless, the bed was comfortable with no traffic noise. Close to shops. Breakfast was delivered on time and was hot. Would stay again. I liked this motel because the location is within walkable distance of the centre of town. Very clean, beds comfortable. My room was noisy ....the noise came through the connecting door and through the thin walls. On one side we had the cougher and on the other side the snorer. I think that rooms in this price range should supply a microwave. They are not expensive. Many ageing baby boomers who like to travel are on special diets and find microwave ovens far more useful than an iron and ironing board. Great location perfect for a weekend visit walking distance to restaurants, art gallery and shops 'loved Marilyn'. Very comfortable all needs met bathroom lighting perfect for ladies, even a spa bath. Value for money, comfortable amenities, check it out!! We had a lovely room overlooking the park. The room was very clean. A great position close to everything especially the Art Gallery. We were able to walk every where. The staff were very helpful and friendly. Friendly helpful reception staff. Room comfortable, added extras appreciated, crockery cutlery and microwave if needed. Quiet considering on main street. Advice for walk to restaurant excellent. Perfect for a weekend break. 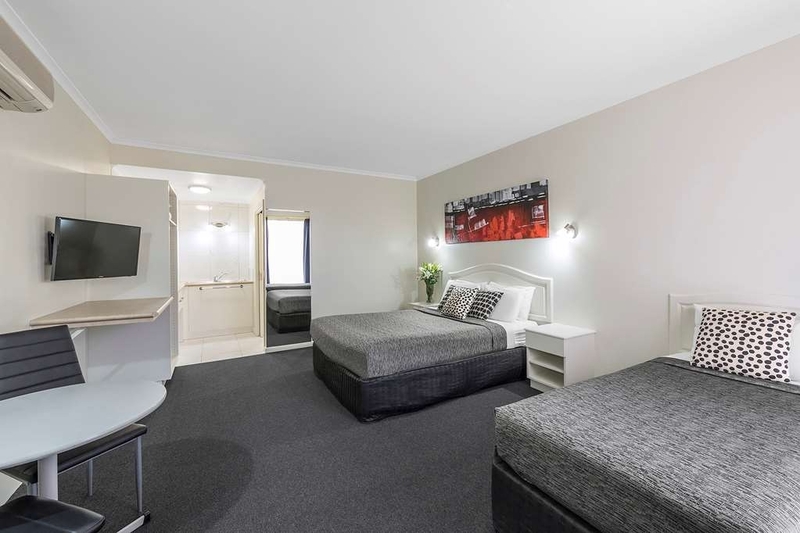 "Good basic accommodation in Bendigo"
One night stay for business in Bendigo. Staff were fantastic. Helpful and accommodating. The room was clean and comfortable, even if basic. Location is great. Very central. The only real negative was the other guests, none of whom seemed to be able to park inside the lines on the carparks meaning I couldn't park anywhere near my room. Staff were excellent and very helpful, location was excellent to explore Bendigo on foot, room was amongst the best rooms in motels that I have stayed. Thoroughly recommended for cost and benefits available. I will recommend this motel to anybody travelling to Bendigo. Terrific location for easy access to central Bendigo ( very walkable not mention close to Beechworth Bakery )fresh clean rooms and friendly staff. View of the Cathedral is stunning at night. Would be happy to base myself here when next in Bendigo. "So good and so convenient." Excellent place, very convenient to all facilities in the inner city - all within walking distance. Place is very clean, modern, rooms are modern, spacious for four of us to have drinks and chat about the day's itinerary. We loved this motel - huge spacious, spotlessly clean rooms, comfy bed and great linen, huge bathroom with nice products, good breakfast, nice tea/coffee & bisuits. We were on the second floor overlooking the park next door, so hardly any traffic noise and a lovely view. Staff all very friendly and efficient. Fabulous location - walking distance to everything, probably the closest motel to all the restaurants, shops, gallery etc. Would definitely stay again. Clean, comfortable and well located. Friendly and helpful reception staff. Enjoyed reading the Marilyn Munroe books (available on loan from reception) before our visit to the exhibition at the Gallery. Appreciated having complimentary fresh milk for tea and coffee. "Great location, helpful lovely staff"
Staff were extremely helpful and friendly. I was in town having surgery and the lovely lady in reception moved me to a downstairs disabled room to help with my recovery. Room was lovely and clean and the location is great. Very pretty exterior as well! My third visit to the Cathedral was the best yet! It's been renovated and is wonderfully welcoming-fresh milk, scummy cookies and great breakfasts add up to a great stay. My room was a bit on the dim side and I had a bit of trouble reading the paper. However, it was close to the Gallery (Marilyn Monroe) and very convenient to town. I hope to return one day for a 4th visit. Great shower pressure, movie channels, Bendigo CBD is a walk away, very friendly staff. Would definitely recommend to other travellers. Charge back for meals to your room is accepted almost everywhere with this place! We found the Best Western Cathedral Motor Inn to be very clean well presented and had staff who were very eager to help out with advise and great places to visit. Our room was very clean and the bed was comfy. They had lots of fresh milk to make a cuppa which was great after a long drive. My wife and I stayed at the Cathedral Motor In for 2 nights on the 10th & 11th April 2016. Our stay was most pleasant, the receptionist on our arrival was most cordial and helpful. The location is very central, and close to the Ballarat Art Gallery, which we were visiting to see the Marilyn Monroe exhibition. We had a floor room, which was also good for us old folk. The room had been recently renovated and had all mod cons one would expect. we enjoyed our stay and would recommend it. Very clean and neat Great location to the gallery and restaurants. Easy walking distance. Friendly helpful reception Breakfast available Coffee, tea and milk in rooms.Toaster and Hairdryer. Good shower. "Conveniently located with fantastic service"
Hotel is conveniently located. Lots of little restaurants in walking distance. Room was large and clean. Room was a little tired but was well maintained. Usual amenities of iron, microwave and wifi. The service from the front desk was great. Would stay again. "Friendly, Very Clean & Staff Helpful"
After staying only one night and arriving late, we were greeted by a lovely lady on reception who was very upbeat / friendly, with nothing being too much trouble. Furthermore when I checked out in the morning I made sure management knew how extremely happy I was on how clean/spotless and comfortable the room was, which made for a very relaxing overnight stay. Excellent attention to detail and highly recommend. Very clean and spacious room with lovely comfortable bed and nice bathroom. A few blocks walk from Bendigo CBD. Lots of dining options for all meals nearby. Had a busy time in Bendigo as there is lots to do, so it was great to some back to a nice room. Dealt with a very pleasant and friendly lady at the front desk. Great location - central to all needs. Extremely spacious site. We stayed in a recently refurbished room - very comfortable with all comforts provided. Staff were very welcoming, friendly, knowledgeable regarding local area. Would certainly stay there again in the future. We stayed overnight with our family of five in a two bedroom unit. Great central location next to the cathedral and short walk to town centre and parks. Rooms were quiet, clean, comfortable beds and service was friendly. Was perfect for our needs. Had a bit of a family get together so decided to stay at the Cathedral motor inn as we'd stayed here before. Very comfortable and well appointed. The lady at reception on arrival was very friendly and helpful. Considering the motel is on the main road it was very quiet and we didn't hear much road noise. Will definitely come back when next we come back to Bendigo. I ended up making a last minute booking into this hotel, the reception staff were friendly and helpful. The room was very comfortable and it had a great location. I will definitely be staying here again. Cathedral Motor Inn has to be the best value for money in Bendigo. The staff are really good, the rooms are clean, modern and really family friendly. Value for money and within walking distance of all the local attractions. We wouldn't want anymore for the family. 10 of us went on our Easter weekend away, first time to Bendigo. Arrived at Best Western Cathedral Motor Inn good Friday for 4nights. Rooms were very well presented staff were extremely friendly, Towels were big, soft and fluffy, breakfast was very filling. would book again next time in Bendigo. This is an excellent motel in a very good location - about a 5 minute stroll to the centre of the town. Our room was very clean, spacious and well presented. We were supplied with plenty of tea, coffee etc., soap and towels. One concern we initially had was that it might be noisy from the passing trucks, but we hardly heard a thing. There is no mini bar, but supplies of beer, peanuts etc. are located in reception. Staff were all pleasant and helpful. "Very Good Motel in Ideal Location"
We stayed in Bendigo recently, arriving at our motel early. Our room wasn't yet serviced, but our host arranged us a room that was available. This is always appreciated when you are driving and would like to unload and unwind before going whereever you're going in the town. A big tick :-) The room was fine, clean and spacious. The property isn't new, so don't expect more than a very effective place to stay. Location, just away from the centre of Bendigo but still on the main road, is great. We walked for no more than 10 minutes, found a great place for a drink and then another for dinner. Even with the traffic, our room was quiet enough. It's a shame that motel car parks sometimes have to accommodate larger trade vehicles. Nothing about the people who are presumably doing expended work stints nearby, or even on the motel itself, but having a large vehicle and trailer parked right outside your room doesn't make for an easy exit. We'd have no hesitation going back to the Cathedral Motor Inn on our next visit to Bendigo. Really good, nice and easy experience. No stresses with anything. Room was lovely, heaps nice than we expected. Loved everything about this place. Staff were nice enough although didn't see a lot of them. Stuff was done without seeing them. I stayed at Cathedral motel this week & I have nothing but good things to say , staff were very friendly & helpful plus is central to all the places I wanted to see. Air con was a god send as was hot the days I stayed also the room was fantastic & when I come back to Bendigo again this is the place I will be staying at as its a 10 out of 10 , well done guys keep up the good work. Motel is conveniently close to town. Rooms were clean, comfortable and appeared to be fairly recently renovated. Staff were very friendly and helpful. Our big dissappointment, and main reason for only giving an average rating, was the water temperature in the shower - one second scalding, next freezing, no matter how you tried to adjust it. I don't know if it was just our room but it made having a shower extremely frustrating. The Cathedral Motor Inn is well situated within walking distance of the CBD and various restaurants. Our room was comfortable, clean and well appointed with a kitchnette area for self catering. The bathroom was spacious and modern. Aircon was efficient and quiet. Free wi-fi was good. We would stay again. We stayed at the Best Western Cathedral Motor Inn for 1 night. The reception was big and the check-in was smooth and quick. We parked right in front of our room, very convenient. Spacious room with a comfortable bed and a good size flat screen tv. It was a very warm night, but the aircon kept the room temperature in a pleasant low 20ºs. Brand new bathroom. We had leave early in the morning, so we did not have time to order breakfast. It was a top quality stay. We will stay again. My husband and I booked 3 nights with Cathedral Motor Inn and absolutely loved it. Cannot speak highly enough of it. Rooms were very clean and quite large. Loved the small kitchenette with sink. Location is fantastic, within walking distance of town and Beechworth Bakery! It was extremely hot during our stay - 43 degrees, but the air conditioning in the room was fantastic. Staff and Reception were faultless. Cant wait to stay again, in fact already planning our next trip to see the Marilyn Munroe Exhibition. The Cathedral Motel in Bendigo is one of our favourite destinations. It is perfectly located to shops, eating venues, entertainment and the beautiful Sacred Heart Cathedral. We were welcomed by Janet, a friendly, polite and most helpful person who could not do enough to ensure we had everything we required for a comfortable night's stay. Our departure was done in a similar manner. The room was bright, fresh, clean & beautifully appointed with more than enough room to allow us to relax in comfort. All provisions, like tea coffee shampoo etc. were generously supplied. We certainly look forward to our next Bendigo visit. When planning your trip , book early as this Motel is often booked out due to its popularity... no wonder as it is certainly hard to find fault with the Cathedral Motel. What more can i say apart from thx to start with. First we were greeted with friendly staff at reception, A nicely presented room that was clean and looked after and again friendly and help staff the following morning at check out ?? Stayed here for a two night Valentines weekend getaway. Had the Spa Suite. Spa is in the bedroom with separate shower in bathroom. Although the fittings are a little dated the room was stylish and immaculately clean. Really hot but the aircon was great. Loved it! Have stayed at the Cathedral motor inn quite a few times over the last year and have found the rooms very modern and comfortable.. Staff are always very helpful with any queries I may have and are so friendly. Great place to stay for work trip or vacation and did I say how great the two man spa is! Really nice and comfortable Hotel! Very comfortable beds, clean, great shower and very friendly staff! Reception opens at 7:30am which is an issue if you want to leave early! Very close to town so you can walk! Would recommend staying here and hopefully I can come back soon!! 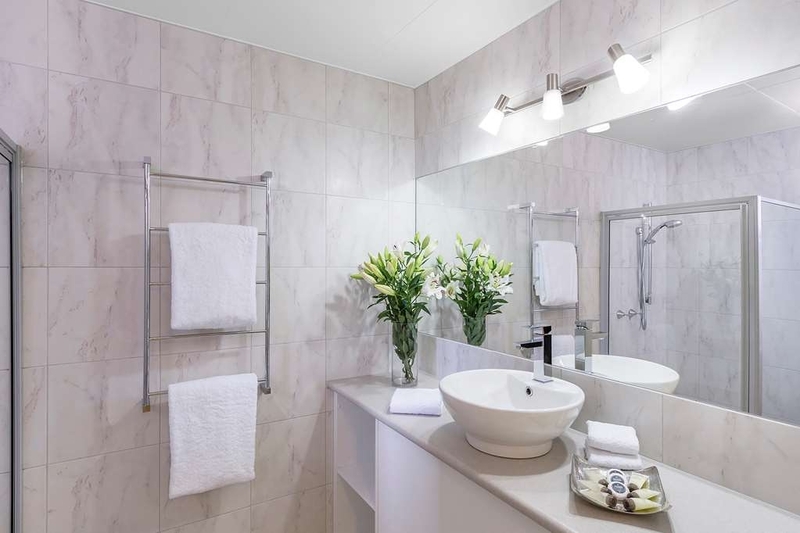 "Rooms always clean and fresh, management and staff always friendly"
I've been staying here for approximately 18 months, both for businesses and also a weekend getaway with my wife to explore Bendigo. There is also some great pubs and restaurants within walking distance, also some fine wineries only a short drive away. "Nice place to stay in great location"
"second attempt to do this"
Ok.. last time i did use compulsory min two hundred characters.. so that took up space..now i will tru again.. so i think i have now exceeded my character limit motel was excellent..well renovated and modern facilities..situated close to city..very pleasant welcome. foundary hotel down the road was great..all staff smiling and welcoming..pokies even paid out.. Thank you Graham C for taking the time to review your stay with us and that your visit was a pleasant and lucky one. "Better than expected, nice renovated room"
We just stayed 2 nights at the Cathedral Motel. The room has been renovated & had a double, single & single sofa bed. The beds were comfortable. Our 12 YO stayed on the single sofa (she's on the smaller side) & had no complaints, but its not really big enough for an adult. The shower was also good, did notice Temp fluctuating one morning but nothing drastic.The Room was very clean, it had the usual basics such as tea, coffee etc. Would be handy to have some bowls & forks in the room. We ordered the Bacon & Eggs one morning & it was very good. I dealt with 3 office ladies who were all very nice, polite & helpful. Our room was facing High St & I thought it would be really noisy but the traffic died down & there was limited noise, we all had a great sleep. Its very close to town, short 10min stroll. Great Stay & would stay again. "Very nice for an overnight stay"
Travelling a long distance on a business trip, we made an overnight stop here to break the journey. This building has a little age on it, but has been very nicely maintained and updated here and there, making it quite comfortable. All the usual amenities are provided, and the old fashioned breakfast on a tray through a servery door remains - maybe not to everyone's taste these days. Cafes are only a short walk away so if time, weather, and circumstances permit, you can wander along for a cafe breakfast in the CBD. We found the office staff very helpful indeed, knowledgeable and easy to talk too. Our room was large and very clean, we had a deluxe room. The staff looked after us and helped us out with information about the town. The only negative in the night there was I am a light sleeper and I found the traffic noise loud but my partner slept soundly. They have a great breakfast menu. the eggs were cooked just right. We would return to this motel again. It is very central and within walking distance to the city centre. Easy walking distance into the centre of town - restaurants, park etc. Motel itself is a little tired so lower your expectations and all will be good. Air conditioning needed a service as it struggled to keep the room cool even at night. Comfortable accom. We recently had the pleasure of staying at the Cathedral Motor Inn, twice in a few weeks, & we're delighted to find the presentation, service & amenities of an excellent standard on both occasions. 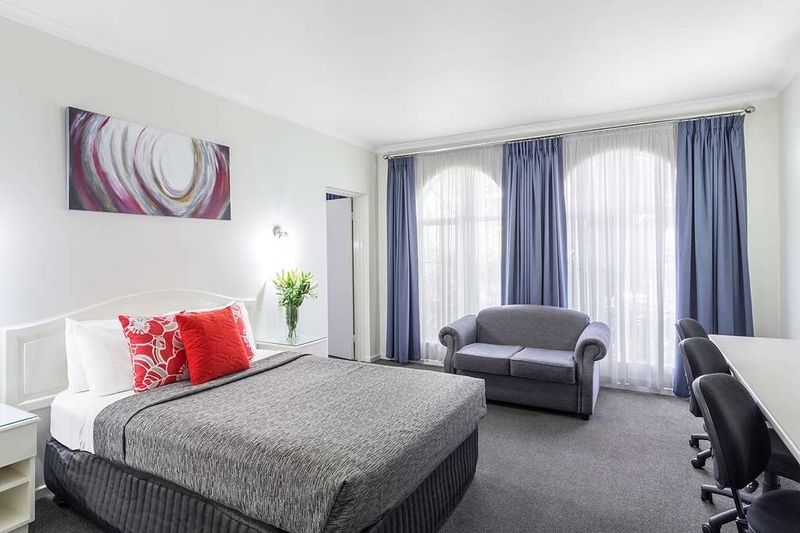 Rooms were immaculately clean, staff very helpful & professional & the city central location allowed simple access to all attractions that Bendigo offers. We'll make this motel our priority choice when in town. Easy booking, easy check in and easy check out, good location. Would stay again provided single room accommodation is air conditioned, definitely not in two bedroom accommodation, particularly in summer. The service provided was great, real milk provided for tea and coffee rather than just UHT, the rooms were spacious and very clean. It is central to the town so all the sights are accessible. We had a good stay. Lovely room, comfy beds, well stocked kitchenette, nothing lacking. Free wifi what a bonus. Modern bathroom, plenty of towels & toiletries. Happy & helpful staff. Very happy with our 2 night stay. Will be back! "Centrally located motel in Bendigo"
Stayed for one night only - service excellent apart from spent cigarettes in ash trays outside the door. Central location in Bendigo a real plus. Overlooking a quiet park - very restful. The nearby Cathedral bells on Sunday evening were a special treat and we hope to make a return visit this year. "Lovely Hotel in Convenient Location"
We stayed here for 2 nights over Christmas. It was much more than what I expected for a Best Western. The bed was comfortable and rooms clean. Located right across from the Cathedral so we had a lovely cathedral/garden view from our room. Lady in the front office was friendly and helpful. We will definitely stay again next time we are in Bendigo. My extended stay in Bendigo at the Cathedral Motor Inn was made extremely comfortable with all amenities and extra helpful staff who could not have been more accomodating. With the added benefit of the motel being within walking distance of restaurants, shops and interesting historical buildings I am looking forward to returning to Bendigo and the Cathedral Motor Inn. Many thanks to Rosalie and Steve. We enjoyed our stay at Best Western. It was very clean, modern and the staff were more than friendly and helpful with checking local meal locations and transport to station for which we were most thankful. "Cathedral Motor Inn - Bendigo"
Our recent trip to Bendigo, was enhanced by an excellent experience at the Cathedral Motor Inn. Location in the city centre suited us perfectly as we could access all restaurants and attractions easily. Room was very well presented, beds were comfy, with plenty of useful tourist information available. Staff were extremely welcoming, and efficient. Will return there, when next passing through Bendigo. This was just what I needed as I waited for my husband to recover from his surgery. The room was spacious and the small kitchenette meant I could be self sufficient & independent. The bed was very comfortable and I slept well. The room was lovely and clean & tastefully decorated. I will certainly come here again. We had a great stay at this Motel. Whilst it was only one night, the staff were extremely friendly and helpful. We'll stay there again.The room was clean and tidy, the aircondoitioning had been turned on before our arrival (36C day). "Don't go past the Cathedral Motel"
Receptionist was most friendly and helpful. 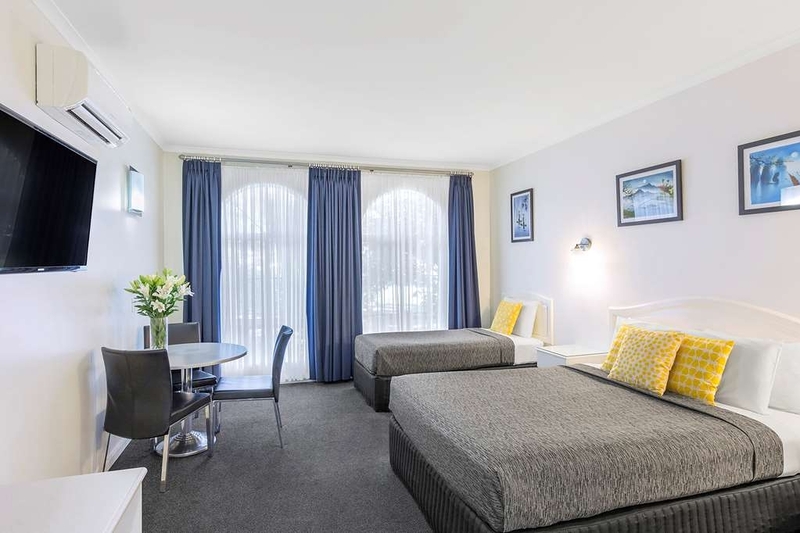 Our room was pleasant and spotless, my husband and I would recommend Best Western Cathedral Motor Inn Bendigo with no hesitation, and we will certainly stay there again. The hotel was within walking distance of Bendigo centre and easy to find on the main road. Staff were friendly and helpful. The room was incredible with a spa bath in the corner of the room, just great after a day sightseeing in the dusty goldfields. We had a room facing the road, so there was traffic noise - didn't bother us weary travellers though, but you might want to check on that if you are a light sleeper. Very happy with our stay. Very helpful. Clean and comfortable. Excellent Big Breakfast!New carpet since we last stayed there. Good air conditioning. Comfortable bed and television was clear and bright. Lovely place to stay, central to Bendigo town. Rooms were very clean and well looked after. Quiet and a great night sleep. Staff were helpful. We would definitely stay here again when visiting Bendigo area. The rooms were spacious. The service was good. The area for happy hour was a good spot under the umbrellas. The breakfasts were generous. Rosalie was very helpful with ordering and providing transport, as well as recommending and arranging places to eat. Overall I can recommend this motel. This is one of the best rooms we have ever stayed in. Large windows (which could be opened) overlooking a beautiful park . The room was spacious and very clean. Although on the main road into Bendigo it was very quiet. A couple of problems that we had were addressed immediately. Love the experience and will return. We were delighted to find a room at the last moment. Although a little noisy at the front, the following night we were situated at the back of the complex and enjoyed the lush green park joining onto our unit. Staff more than helpful, comfortable sleep, and breakfast good. Excellent service from reception. Room was very clean and service was good. Quiet despite being on main road. Easy walking distance to town centre. Room had everything we needed including a mini kitchen. "Very Clean, Friendly and Well Located"
1 night stay was greeted with a friendly smile, room was immaculately clean and the location was extremely convenient. 5 minute walk into the centre of town with lots of restaurants and great scenery. Will definitely stay again. "Very convenient and well equipped"
Clean, aesthetically modern, friendly staff and great management. Fabulous breakfast- quality assured and good portion. Located next to a quiet leafy park. Great location on High Street, close to all amenities and tourist attractions. This Motor Inn was easy to find. It was a lovely spacious clean room, good location and a great breakfast! We had an excellent night's sleep as it was nice and quiet. The staff were all very friendly and helpful. Great welcome at Reception, no request was too much trouble, suggestions given for dinner venue. Room was well ventilated, clean and spacious. Cold water in the fridge was appreciated as the tempreture was 34 degrees when we arrived. I find that the Best Western Cathedral Hotel is in a great location to easily walk into town for your choice of evening dining. The rooms are very clean and comfortable. On arrival at reception the service is very friendly and efficient. My first place to stay when in Bendigo. I choose to stay due to the friendly staff. Rosalie and staff are always welcoming. They have great knowledge of Bendigo and are always willing to chat. It is only a short walk to the city centre, and there are many good pubs, cafes and restaurants nearby. Although I always have breakfast in my room. The rooms are spacious, and always clean. The beds are comfy and I always get a good nights sleep. I will certainly continue to stay there. Very friendly staff; Quick & Efficient Check Inn; Clean Comfortable Rooms; I stay at Cathedral Office when in Bendigo. I have been to several other motels before finding The Cathedral and will not stay anywhere else. 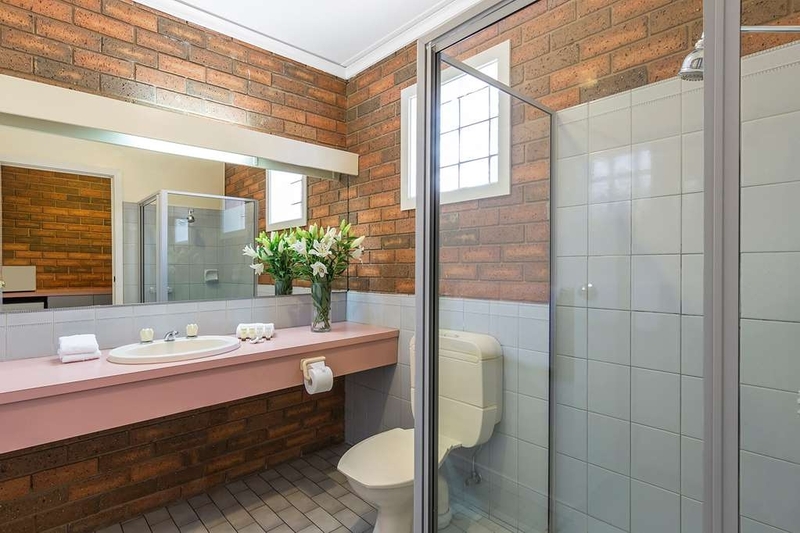 A great motel with very friendly staff, perfectly situated near the center of Bendigo in easy walk to the Arts precinct, good restaurants and on the historical tram line. Clean rooms, well fitted out and quite reasonable room rates. 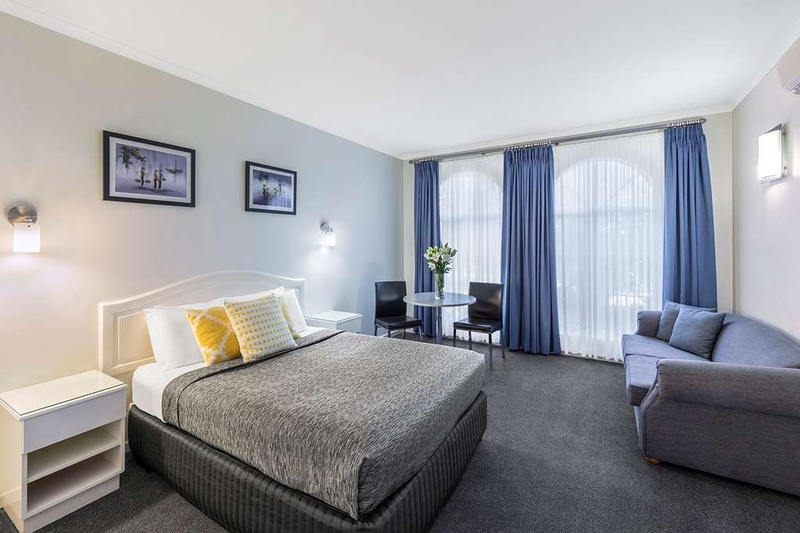 "Comfortable and convenient place to stay in Bendigo"
Centrally located, easy walk to city centre, restaurants and cafes, a small park and the cathedral are just next door. The room was clean and had a small fridge, microwave, kettle and toaster, bed was comfortable and plenty of room. Parking just outside the room and good, free wifi. I have stayed at this motor inn several times over the past 2 years and have always found it to be well run, clean and comfortable. Despite being on the main road into Bendigo from Melbourne the rooms are quiet allowing a good night's sleep. 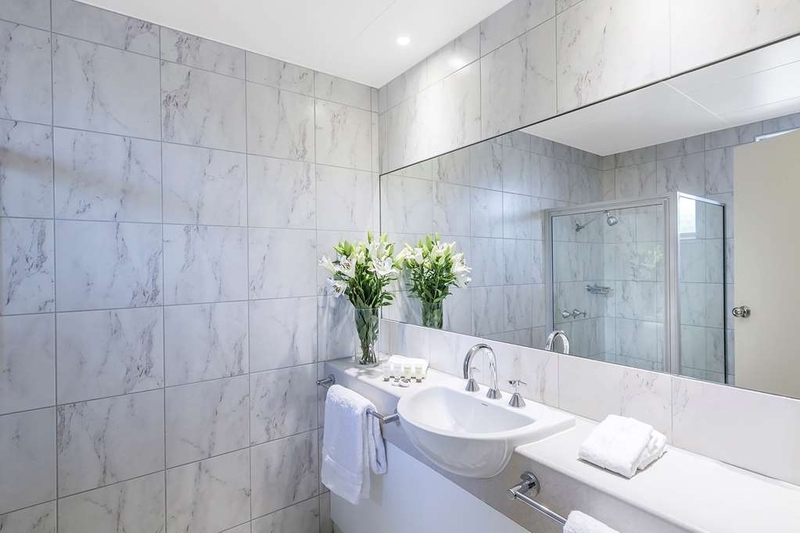 Attention to detail in room cleanliness is great and to ensure the rooms stay at the peak of condition they are progressively upgrading the rooms. Will stay here again. What we missed out in the AFL Grand final we picked up in our tour of regional Victoria. Thoroughly enjoyed Bendigo, the early history and tour of the gold mine capped off with a very comfortable and pleasant stay at the Best Western Cathedral Motor Inn. Central, clean, roomy and friendly staff. Best bed on our trip and great in room breakfast. This is the ordinary country motel style that is expected throughout Australia. Nothing to fault but a little dated. Well fitted out for self catering and the bed was comfortable. Good surrounding facilities and perfectly acceptable for overnight stays when travelling. No view of the Cathedral some rooms. Thank you MCM0499 for taking the time to review your stay at our motel and for your comments. I would have to agree that the room you stayed in is a little dated but we will be refurbishing these rooms shortly. May l suggest next time you visit us you pay a little bit more and enjoy the refurbish rooms we offer which have a beautiful view of the Cathedral and the park. A pity about the noise - traffic and other guests. Staff friendly and helpful - before, during and after our stay. Great location, easy to find - just look for the cathedral. Beautiful city! Great cafes. On a motoring tour of Victoria we ended up in Bendigo for no other reason than this was where the evening fell. By chance we found this motor inn near to the centre of Bendigo. This was a lucky choice as we were welcomed by the Manager, Rosalie DeAraugo, like long lost friends. We were offered a room inspection. We were given information about Bendigo and lent a book of architectural features, and directed to local restaurants. The rooms were well appointed, breakfasts came as ordered, wifi was free. Checking in was quick (as was checking out). The location was extremely convenient. When we decided to stay an extra night, there was not the slightest problem about this despite the motor inn being heavily booked for that night. One of the best motels we stayed in for our entire trip. Highly recommended.